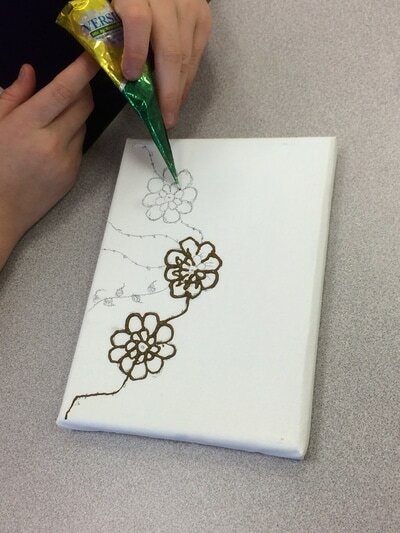 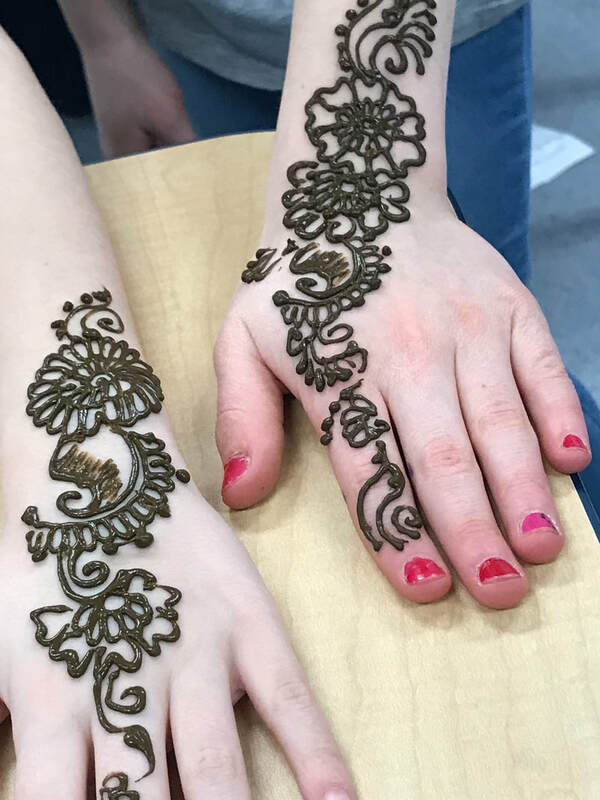 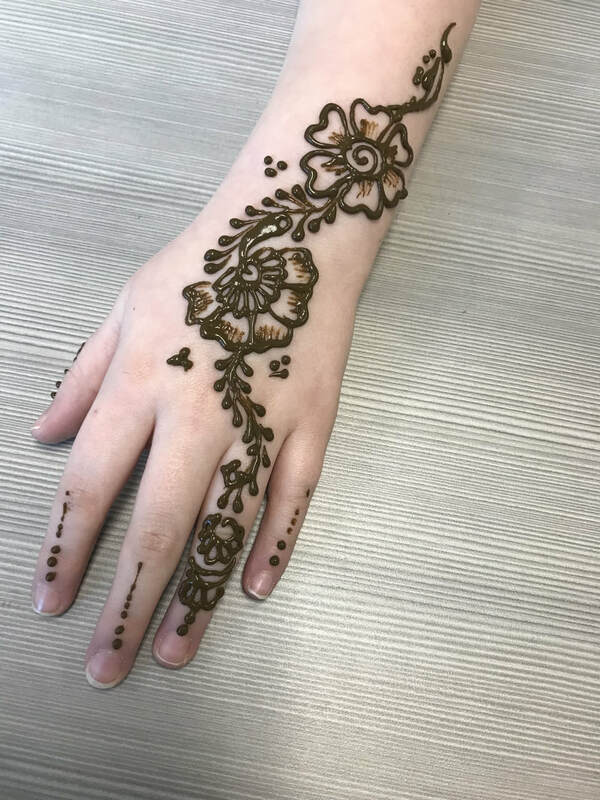 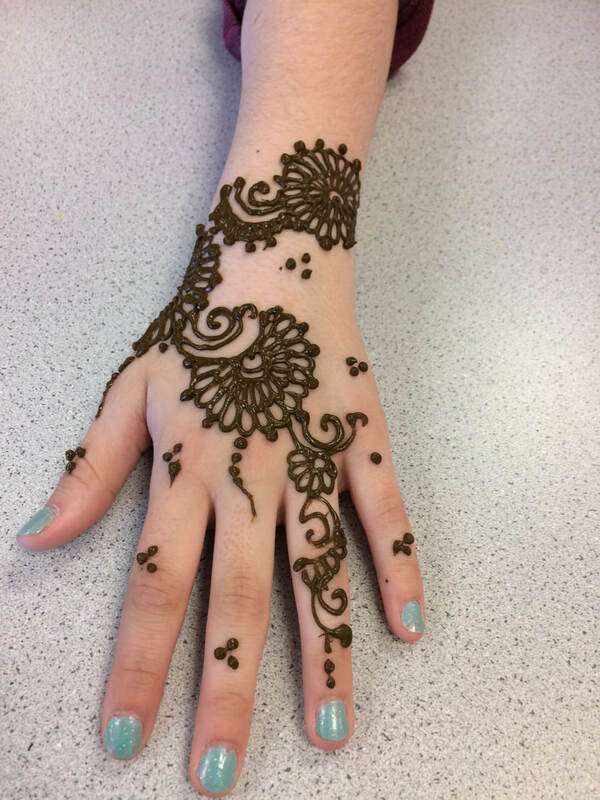 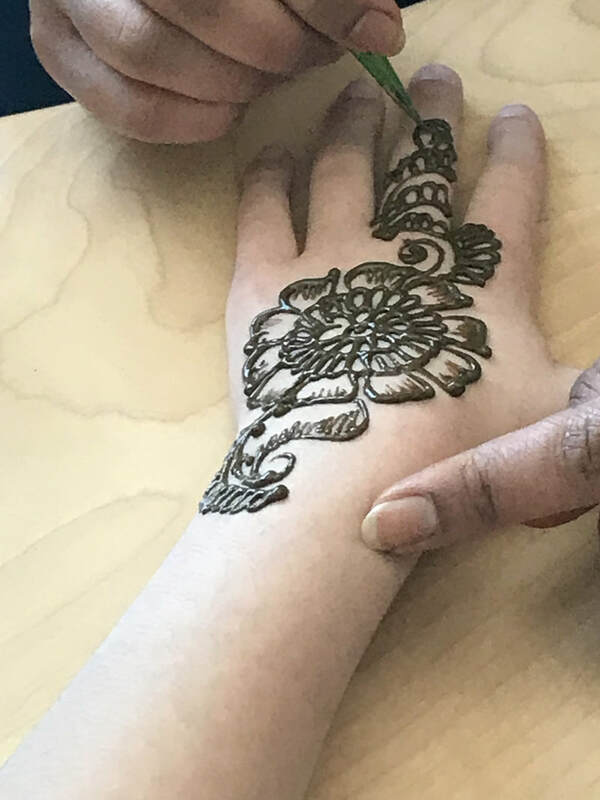 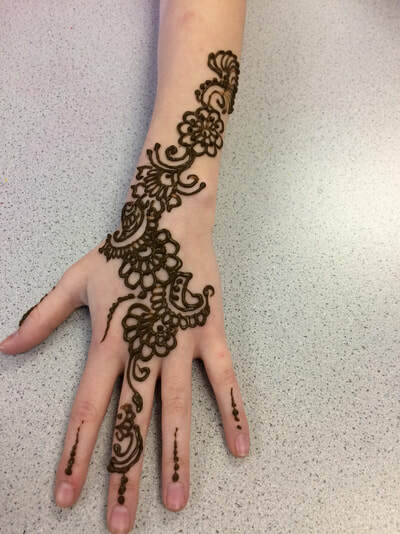 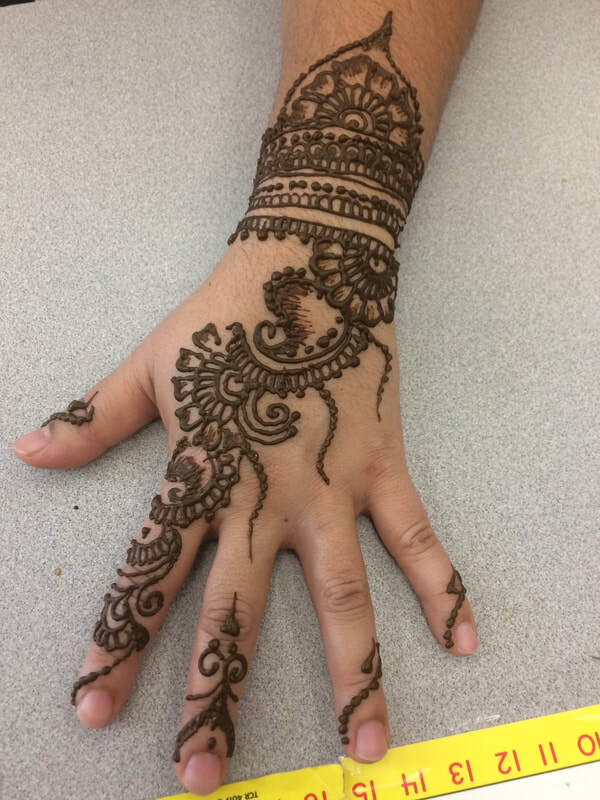 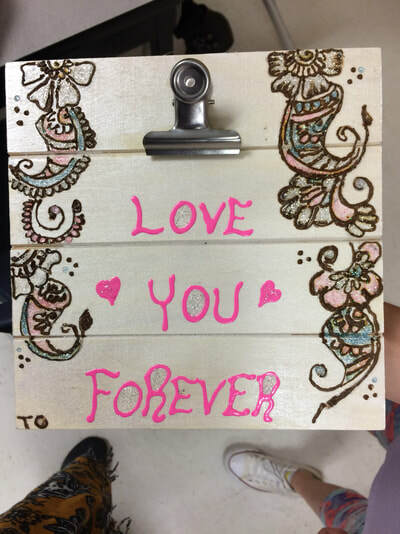 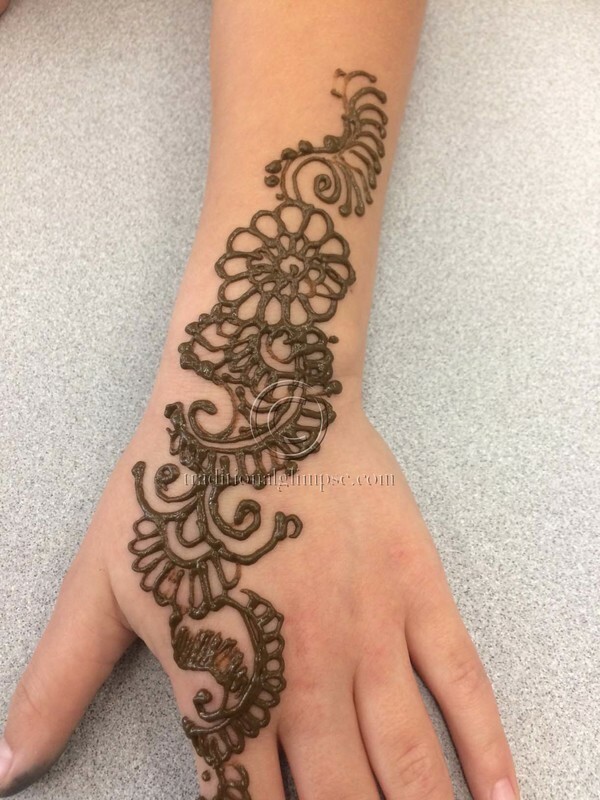 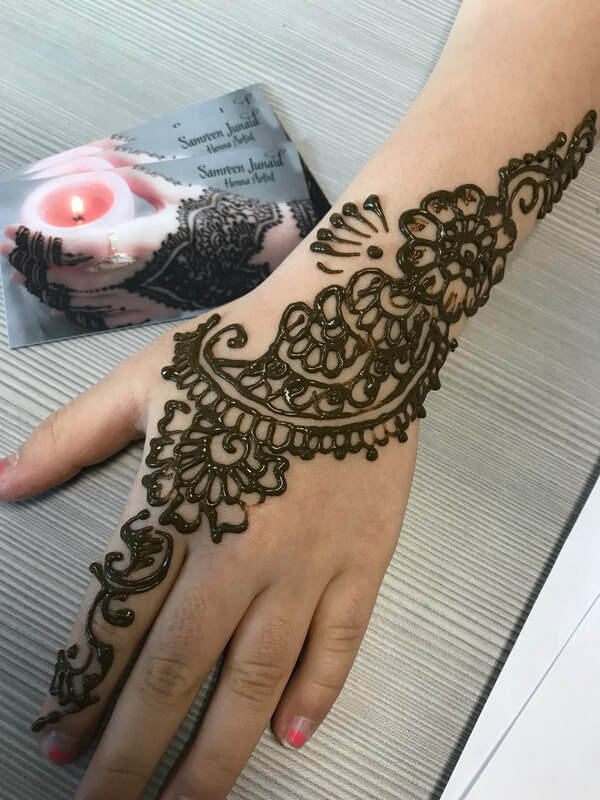 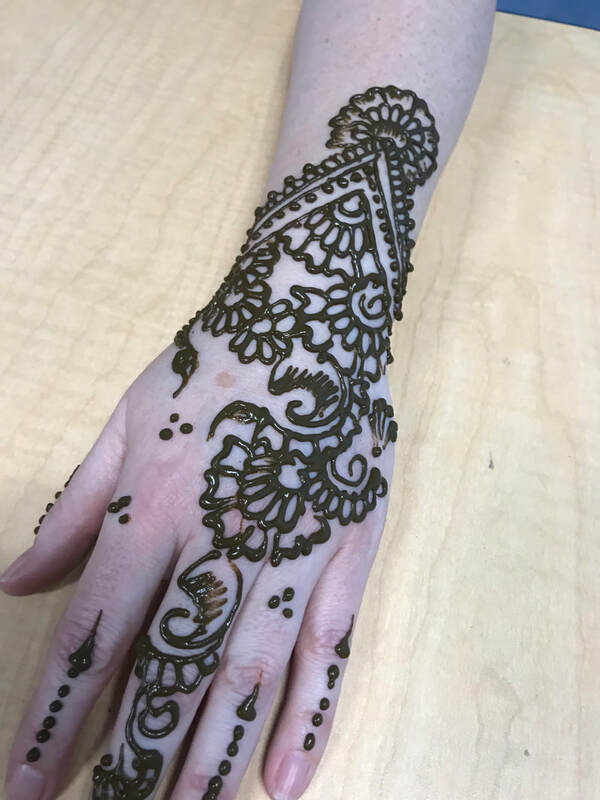 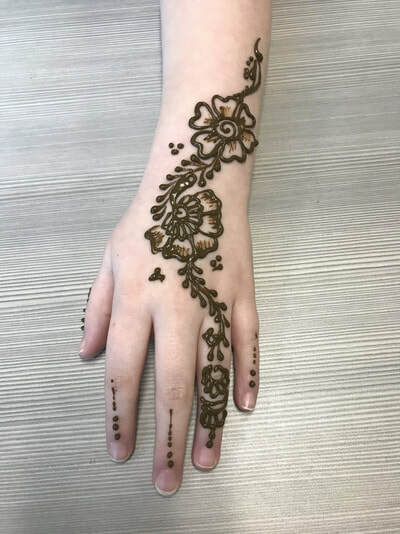 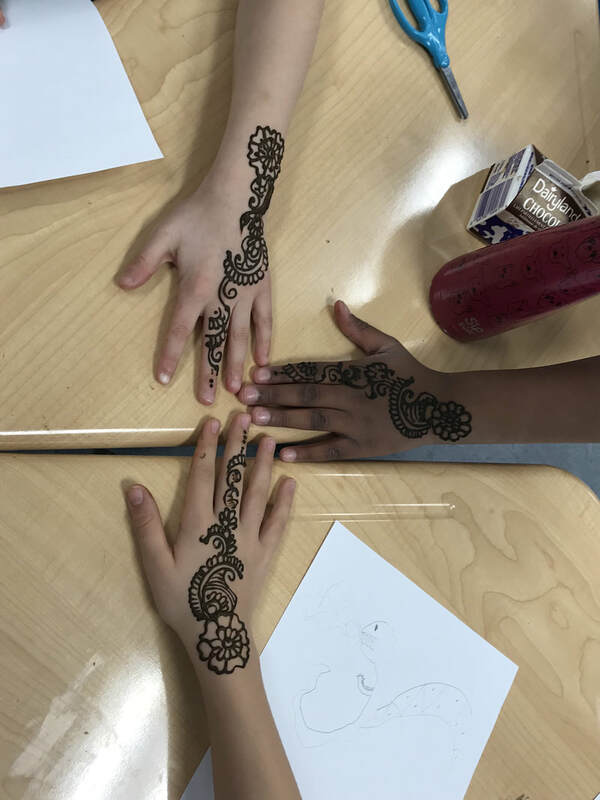 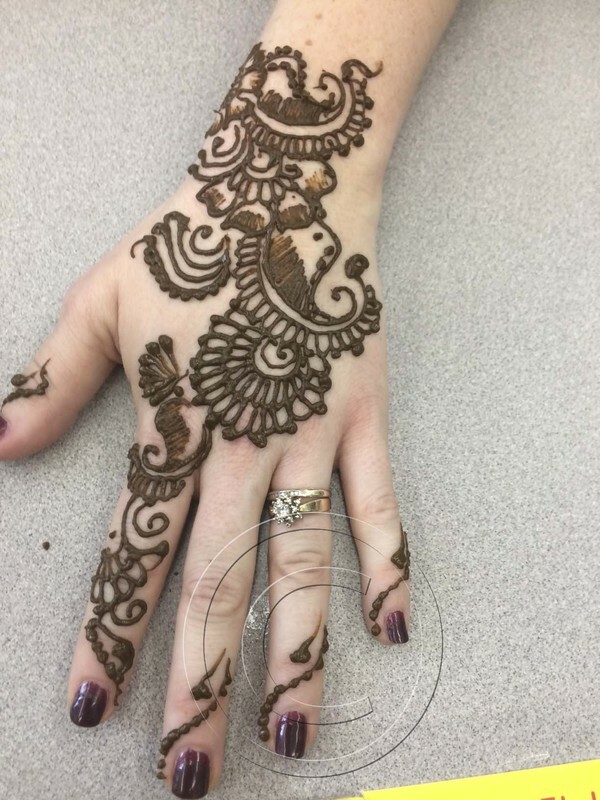 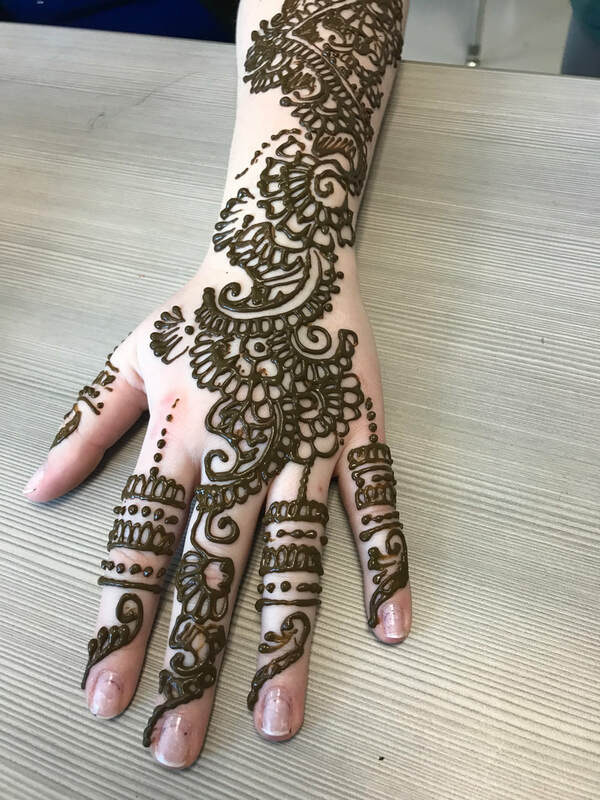 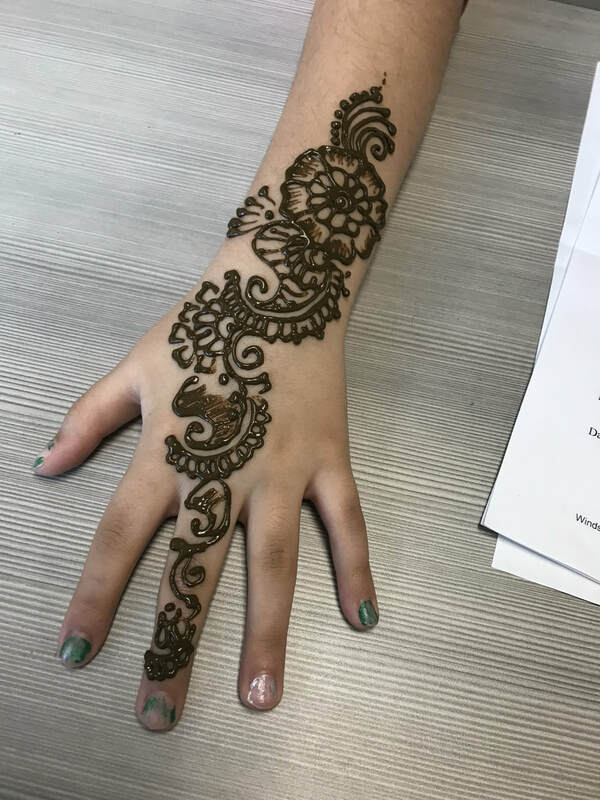 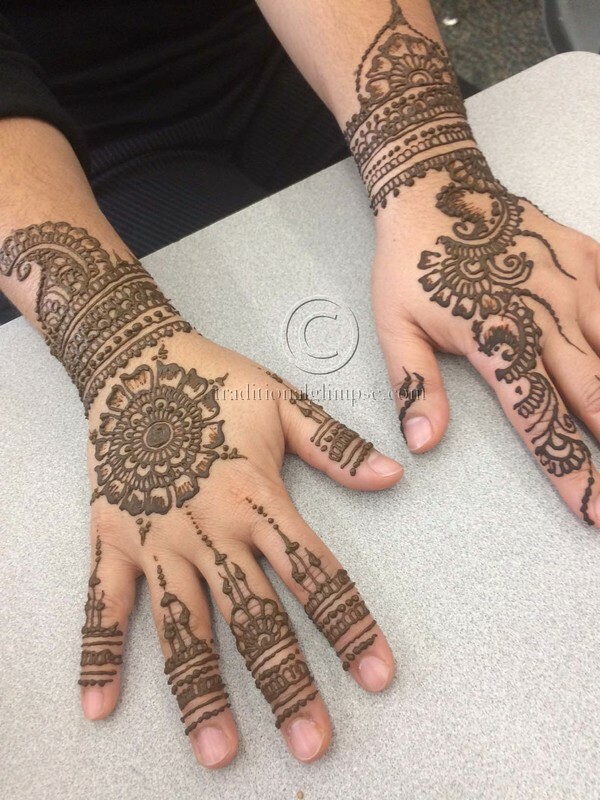 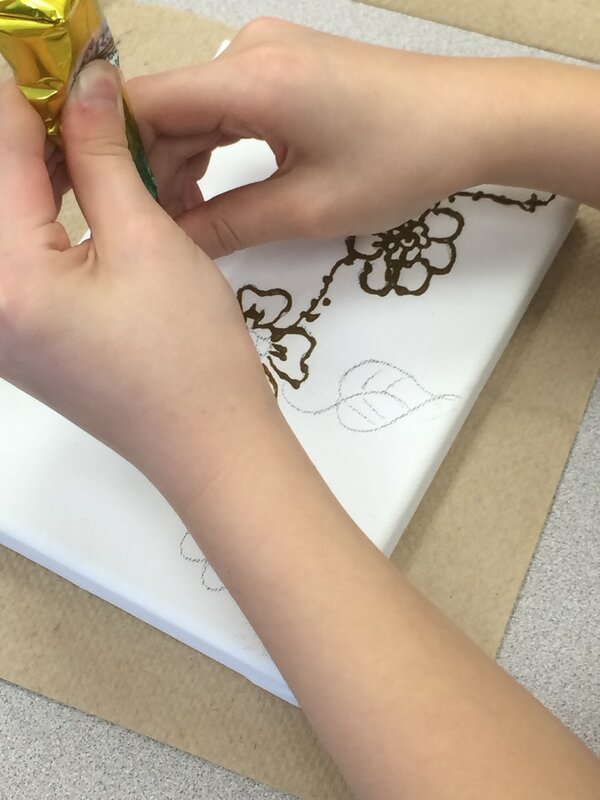 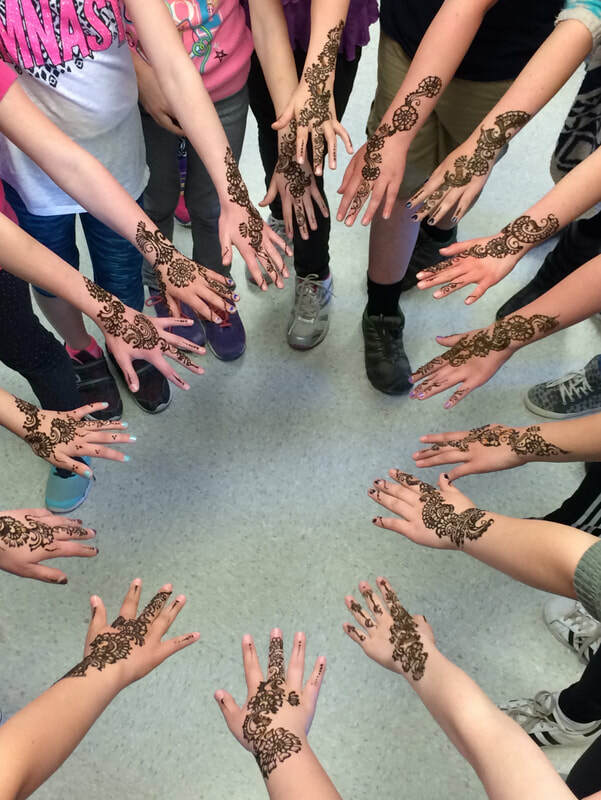 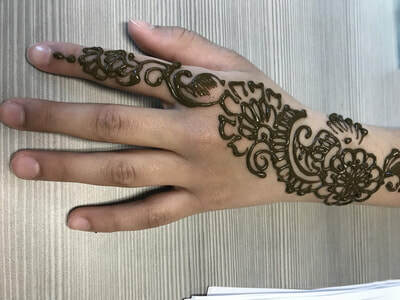 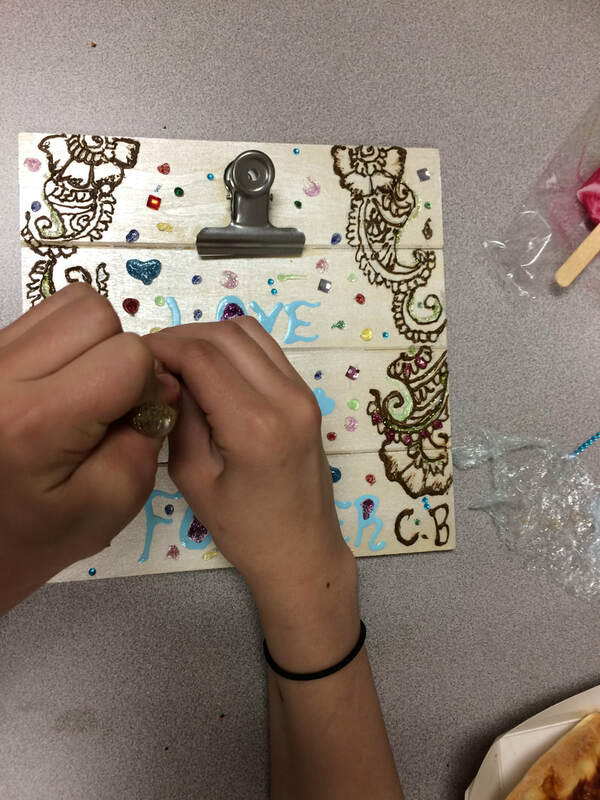 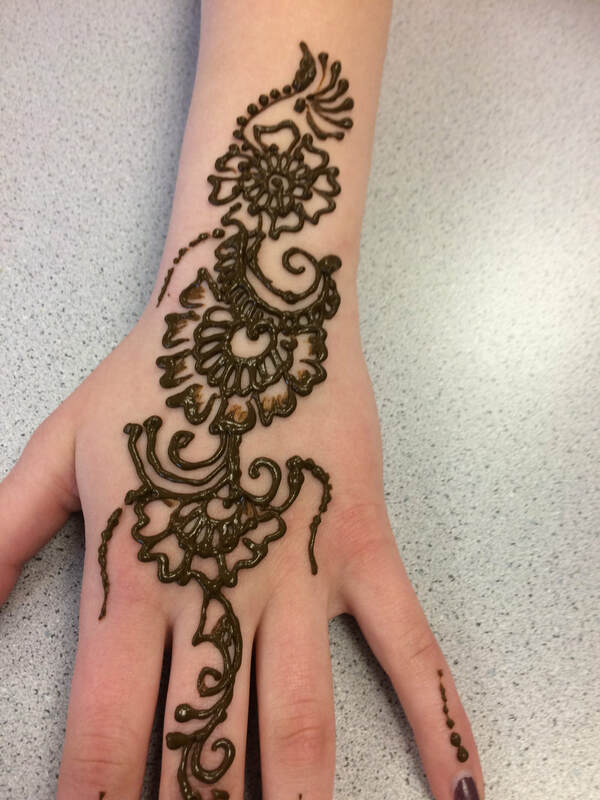 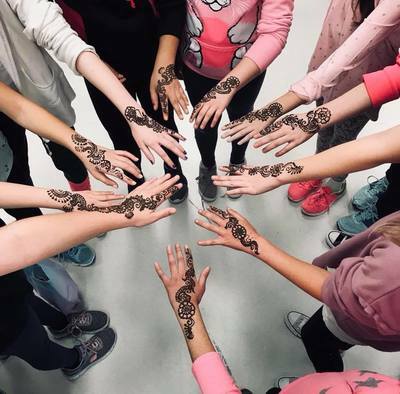 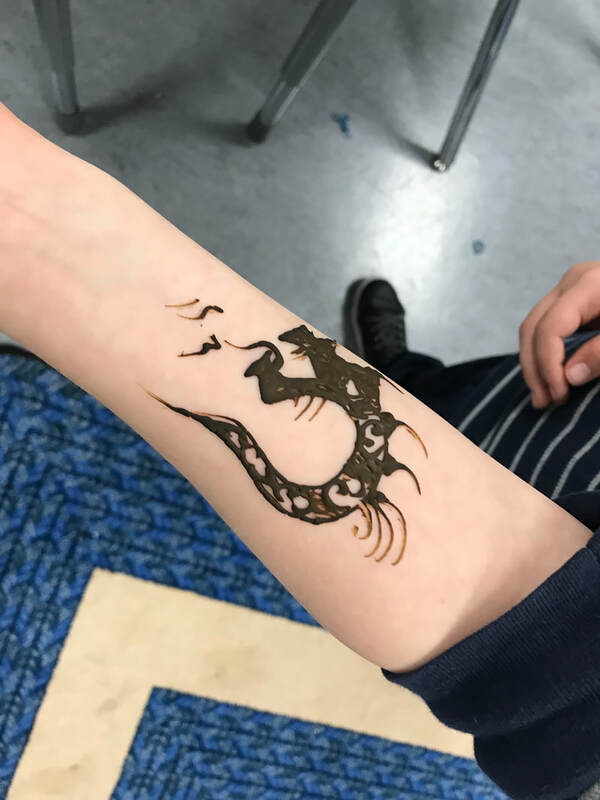 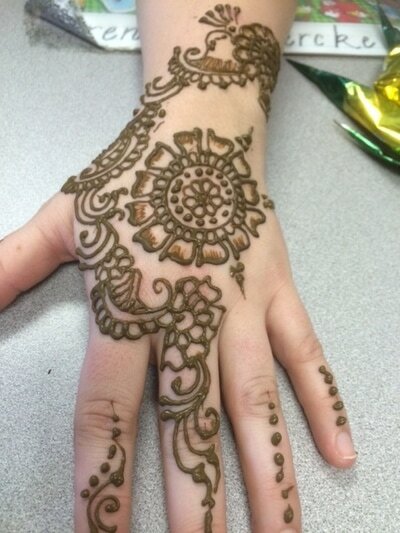 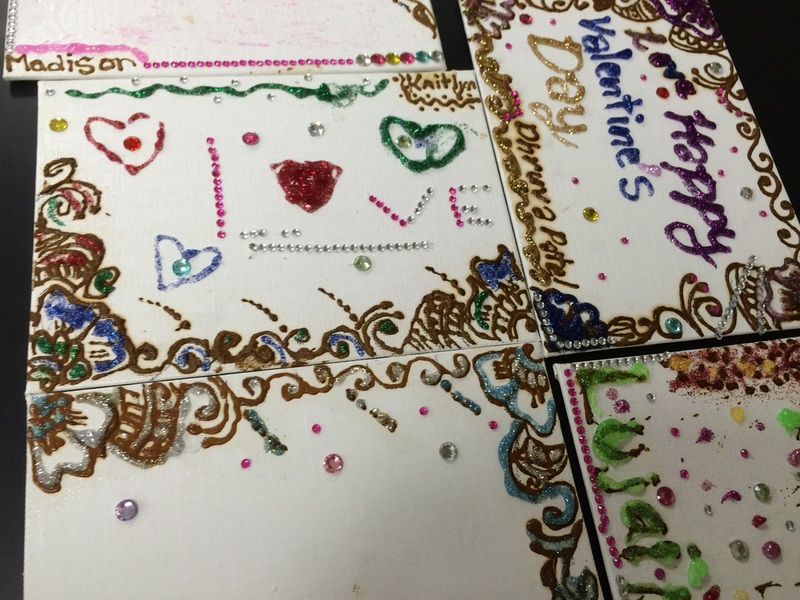 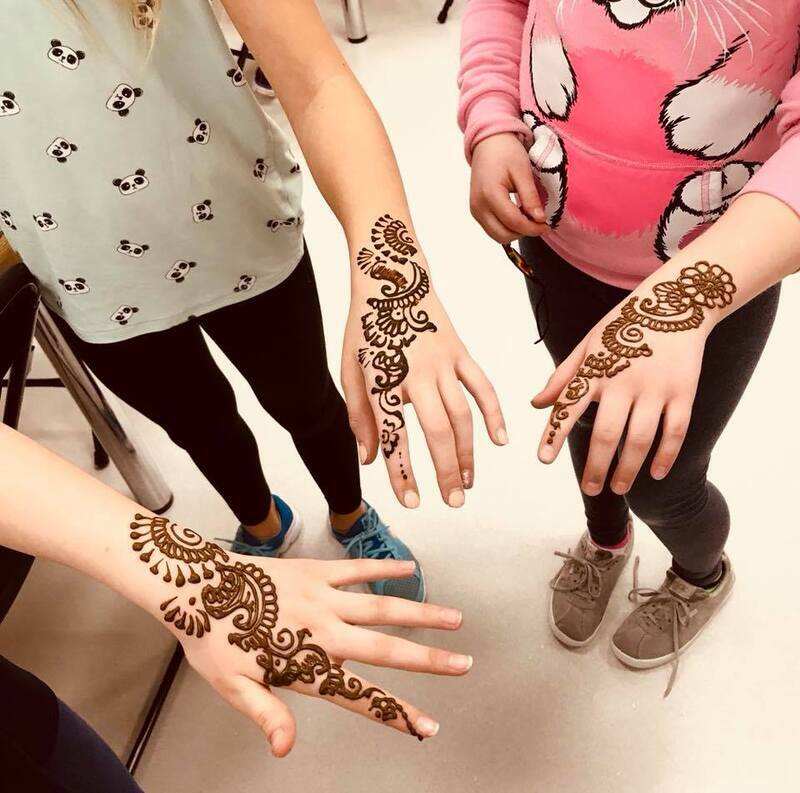 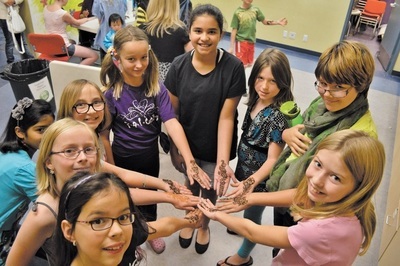 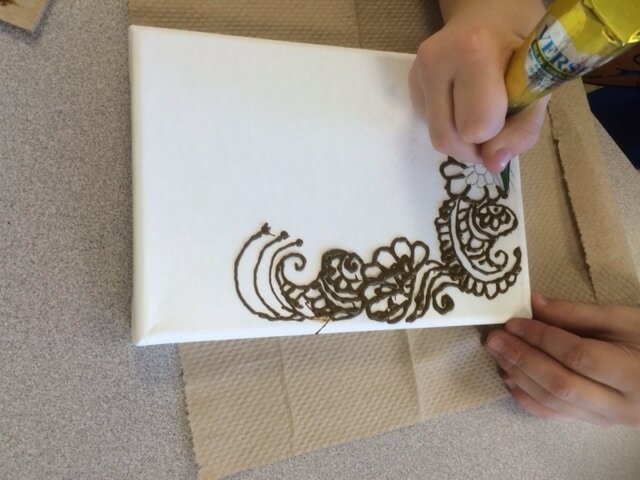 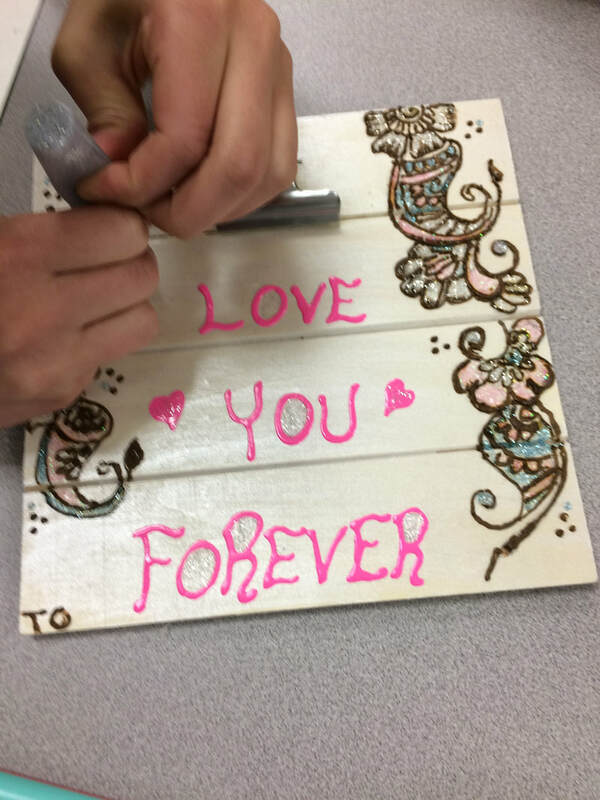 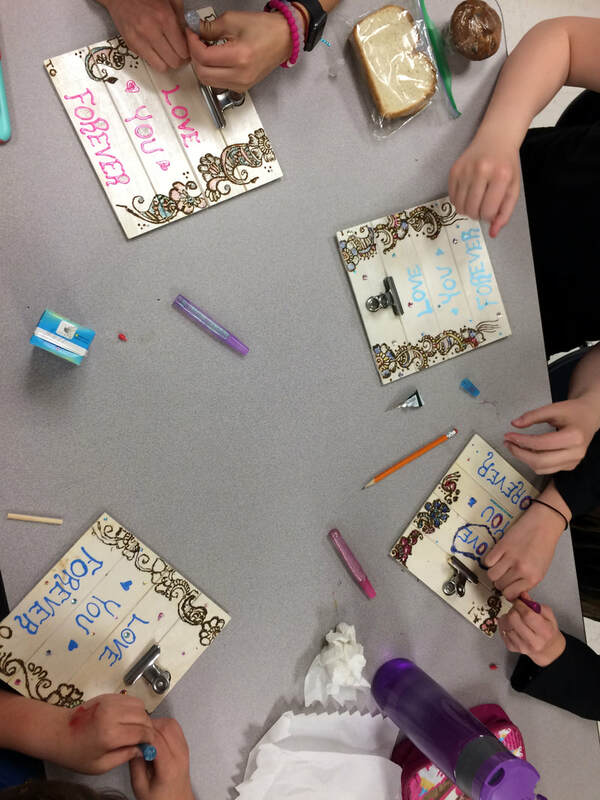 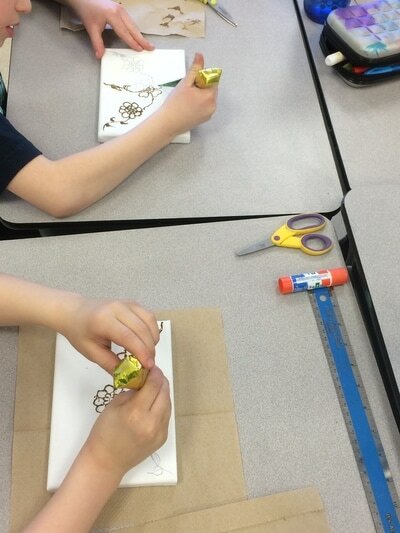 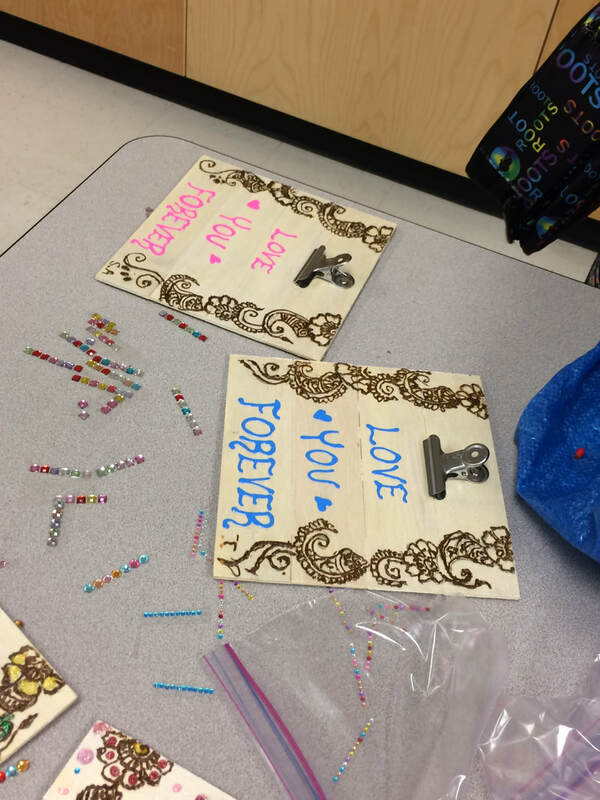 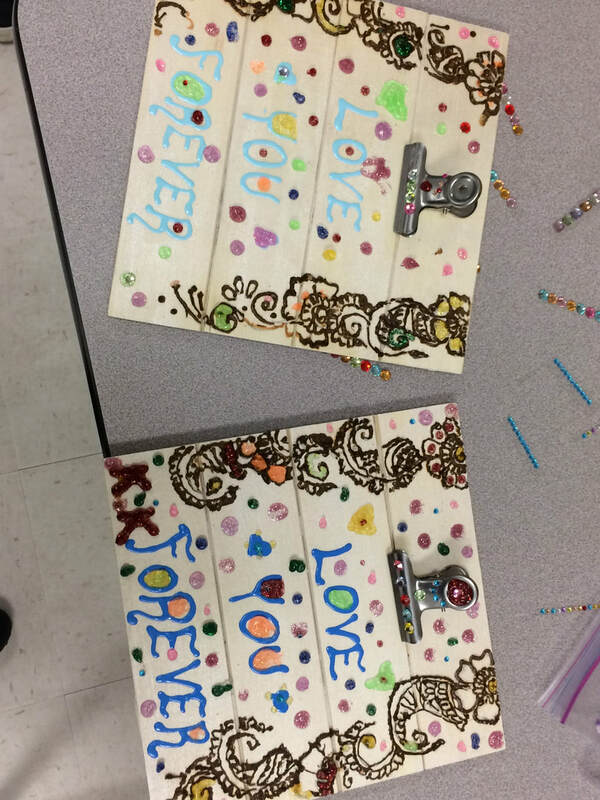 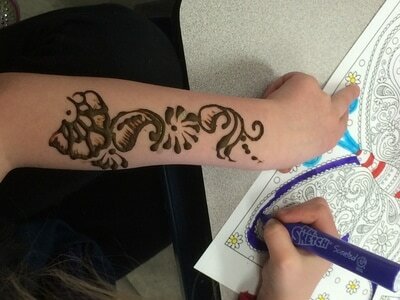 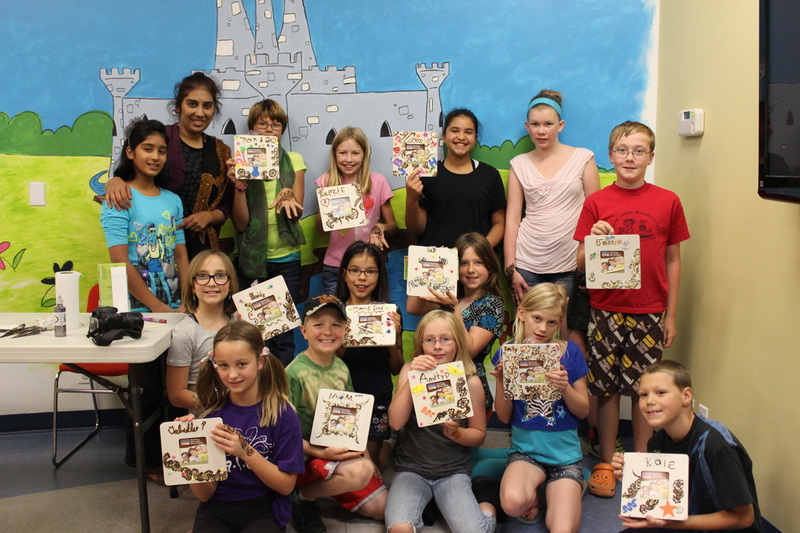 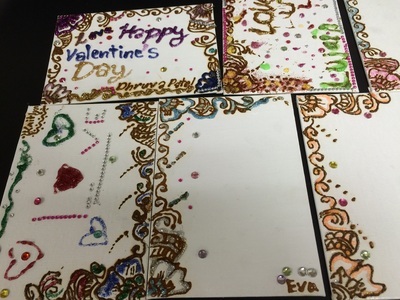 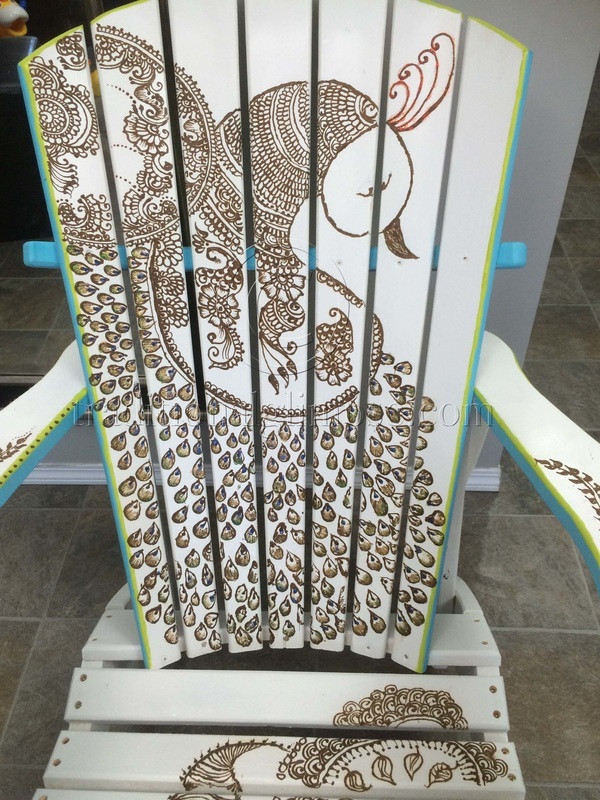 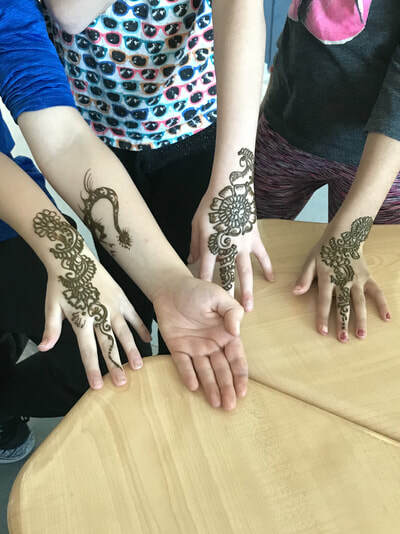 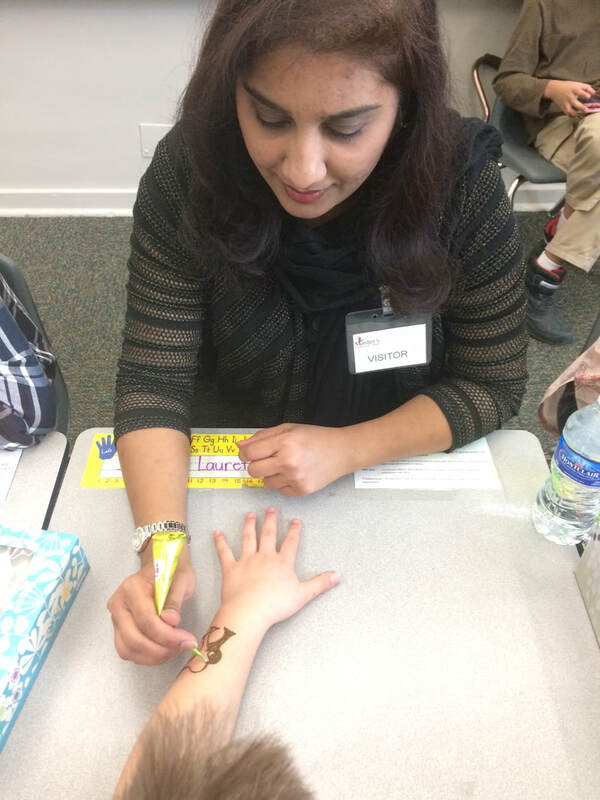 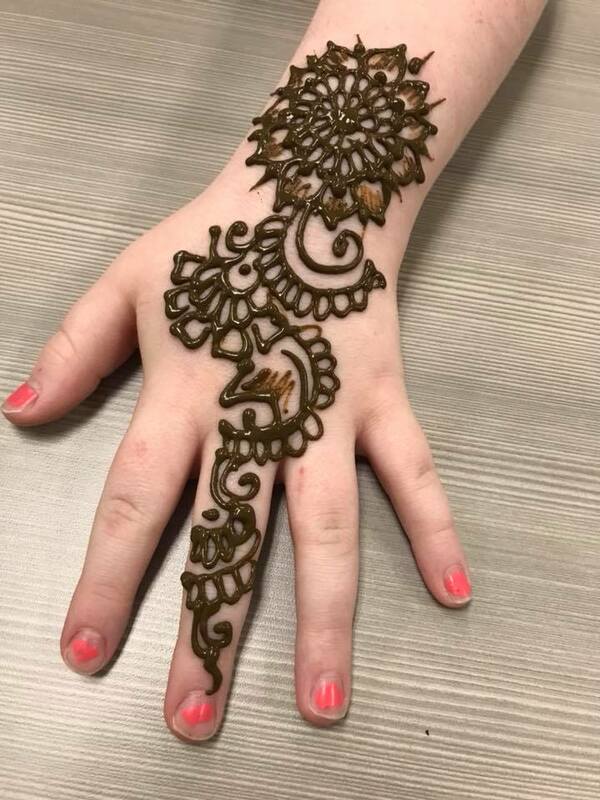 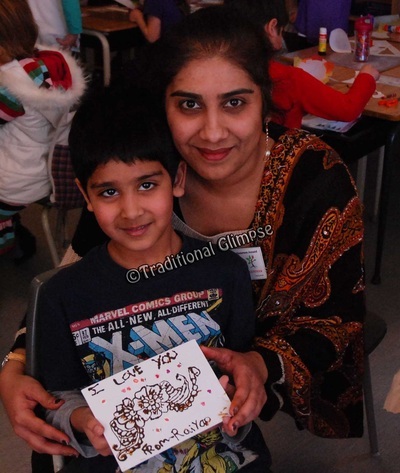 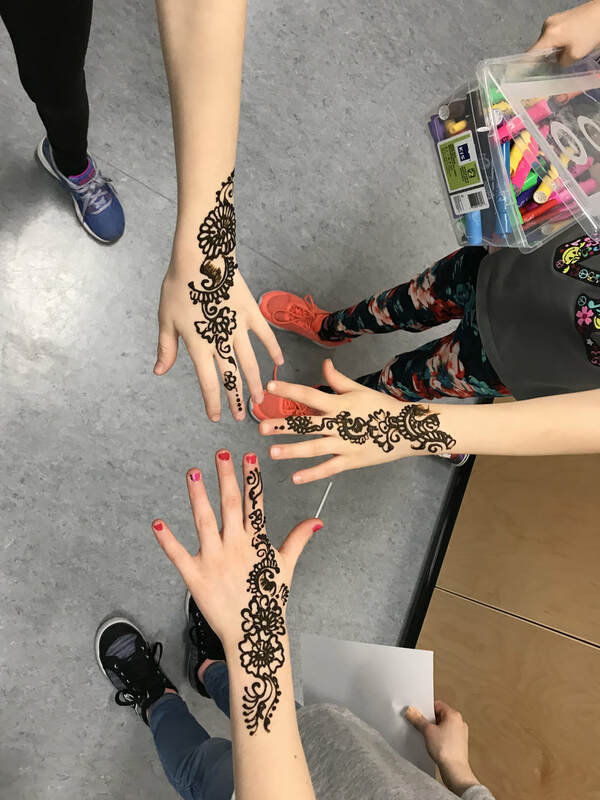 Henna session & presentation in Airdrie school for Grade 3 and 4's on Feb/Mar 2018. 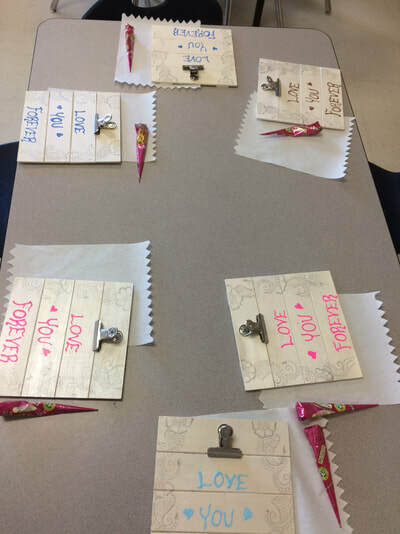 I enjoyed each class and I am their new favourite. 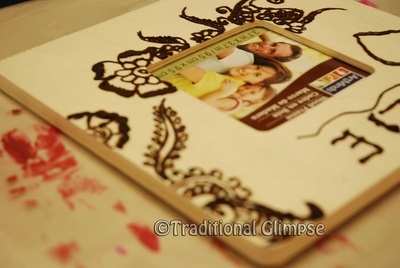 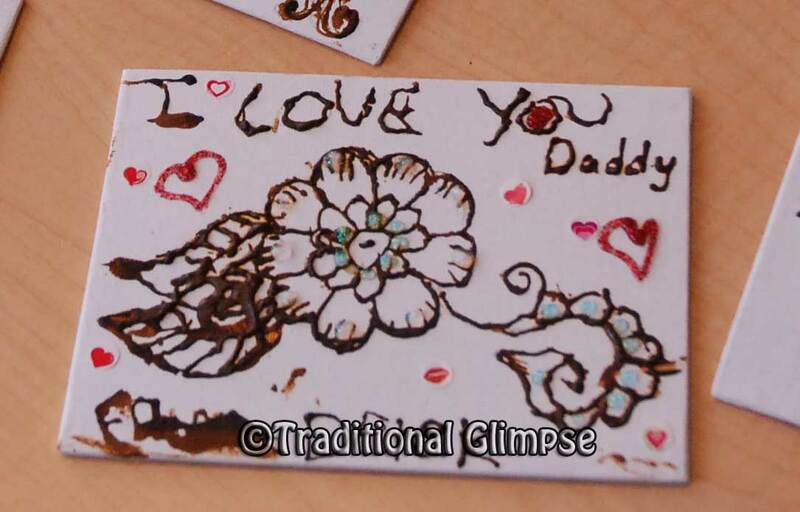 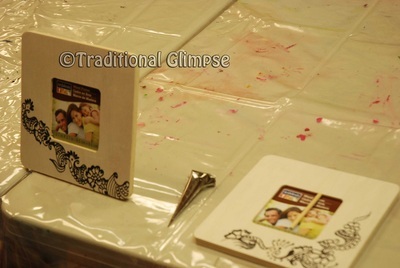 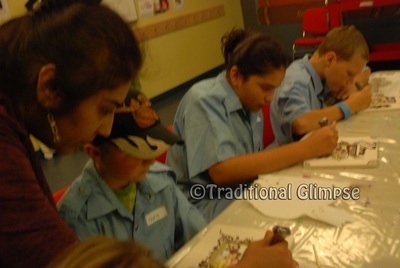 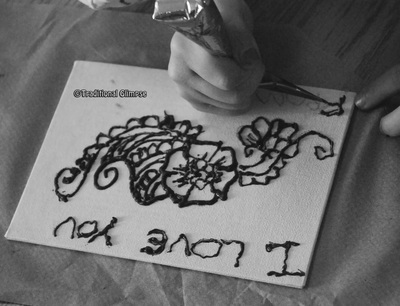 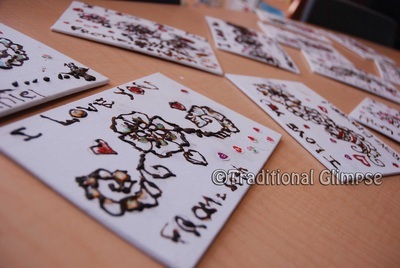 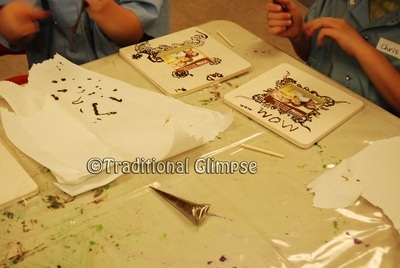 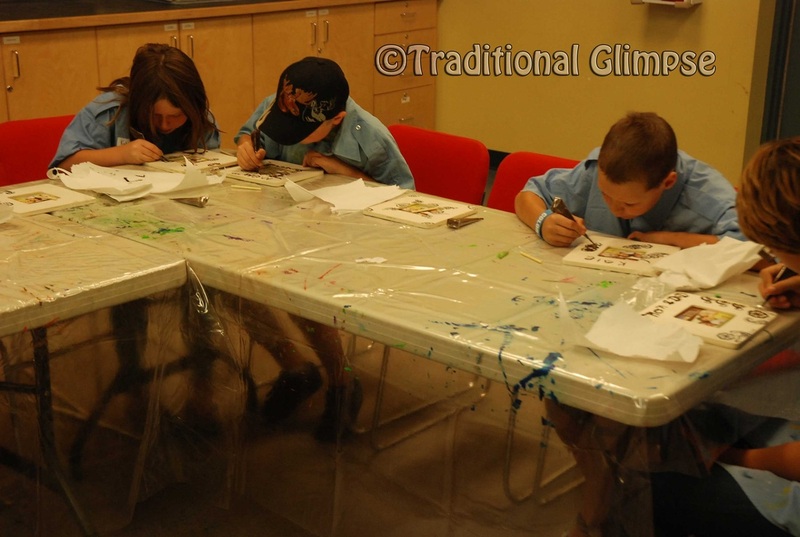 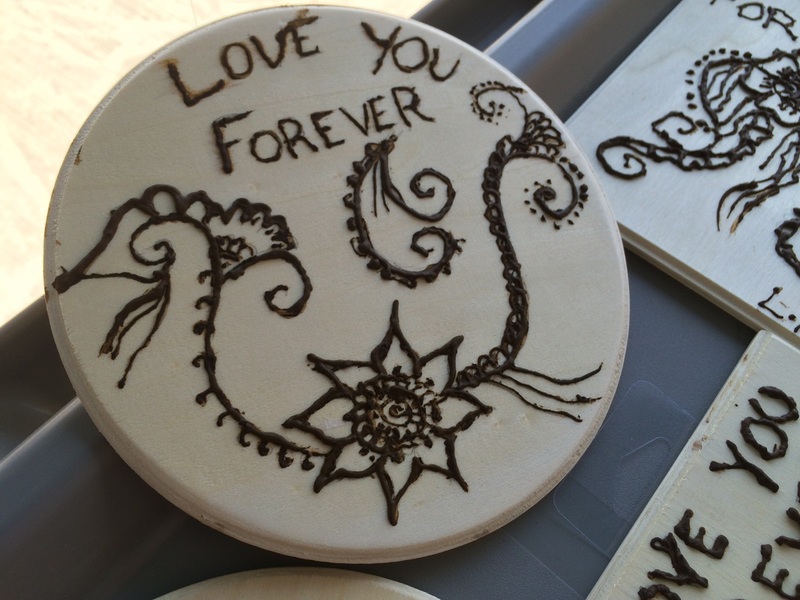 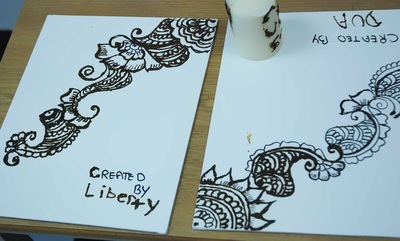 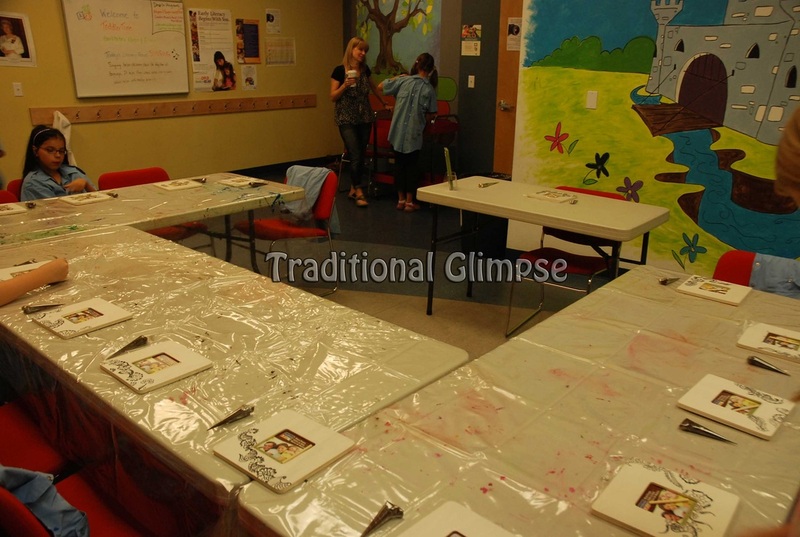 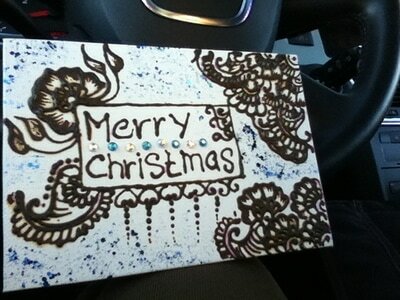 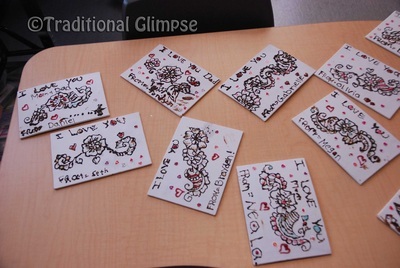 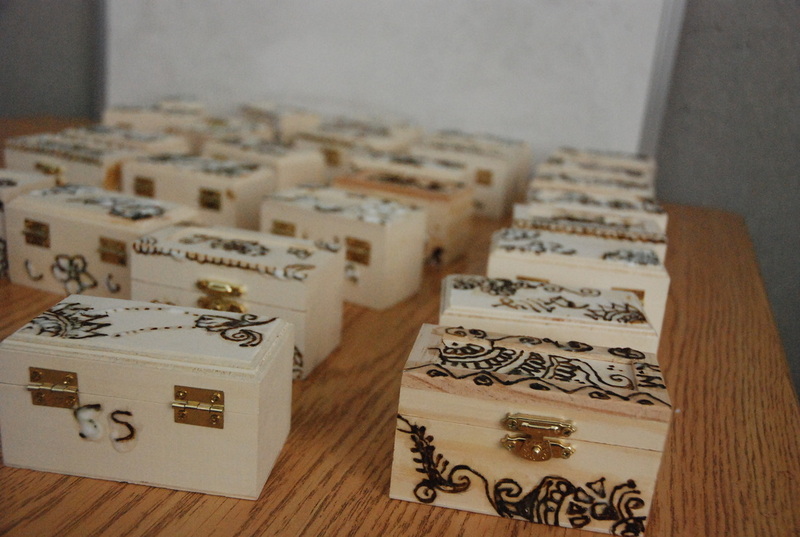 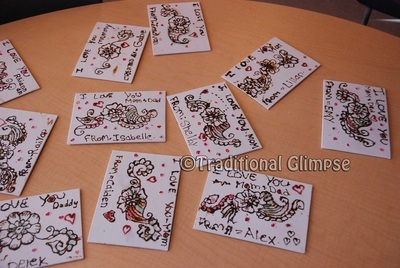 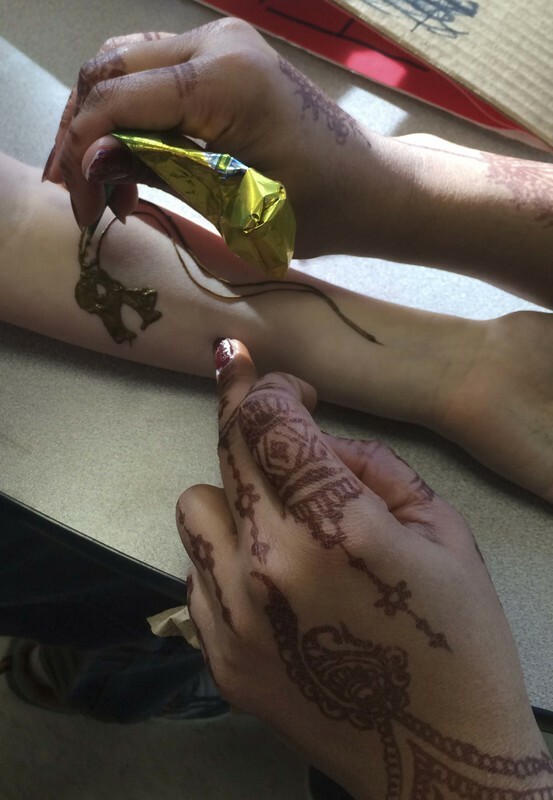 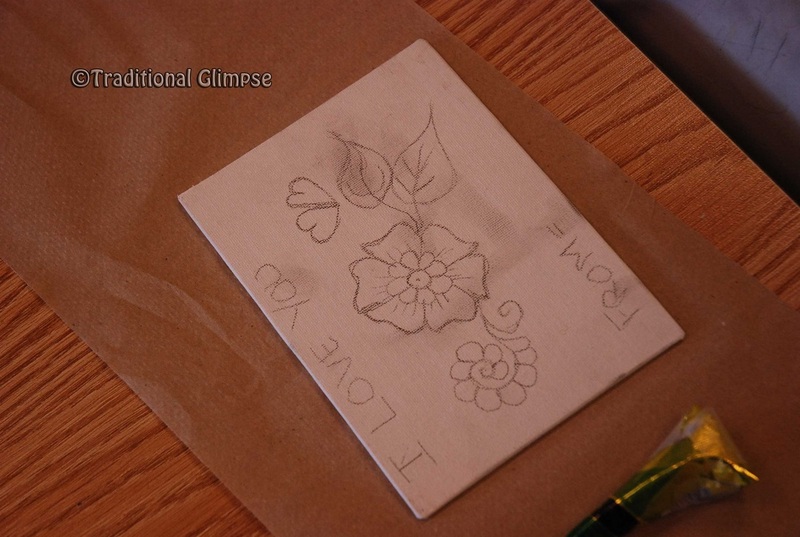 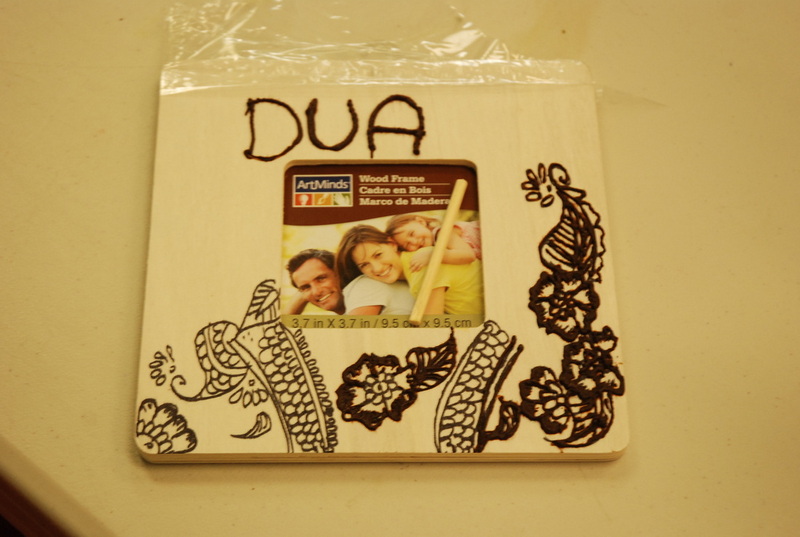 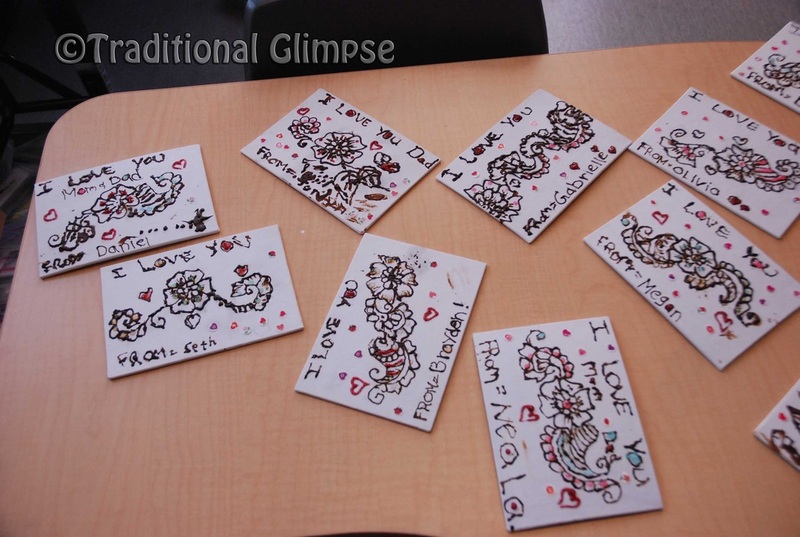 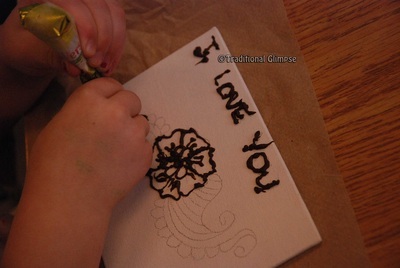 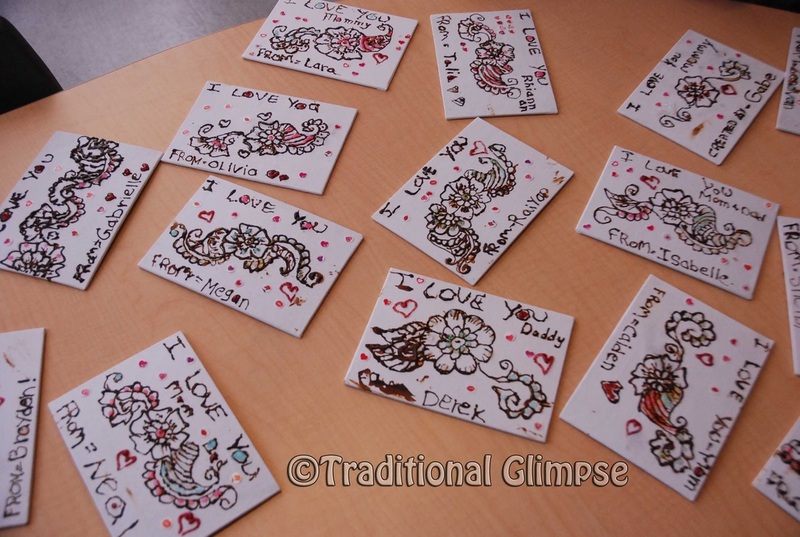 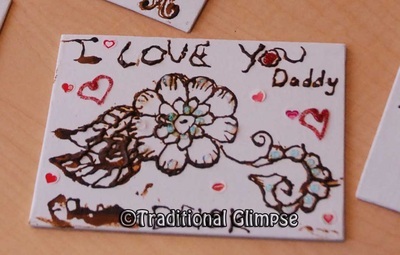 We ended up creating wonderful memories and learned about henna and how to protect skin from so call black bad henna. 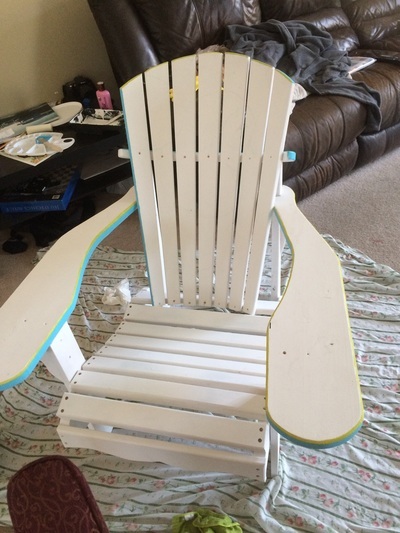 It was a day full of fun. 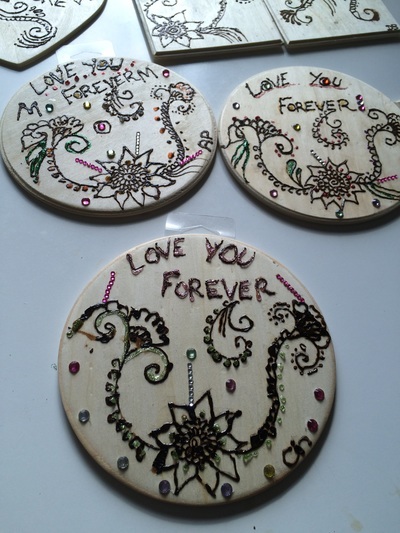 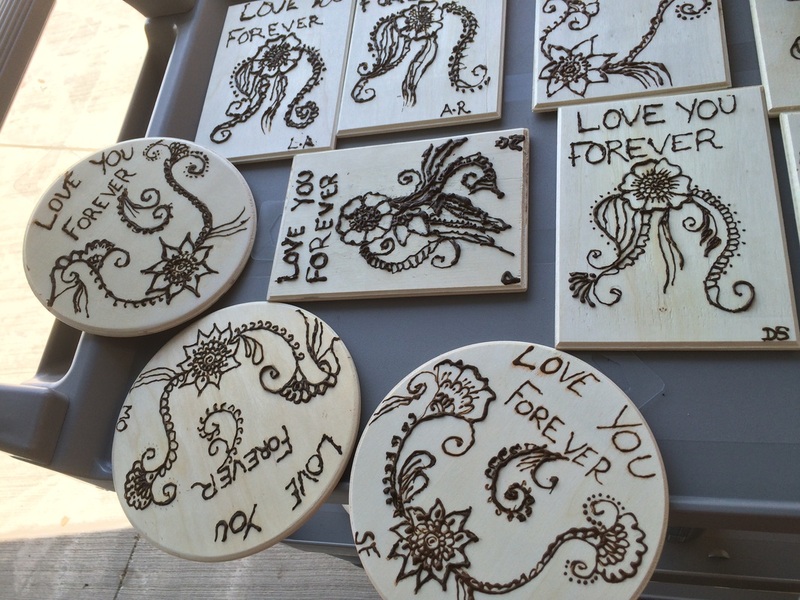 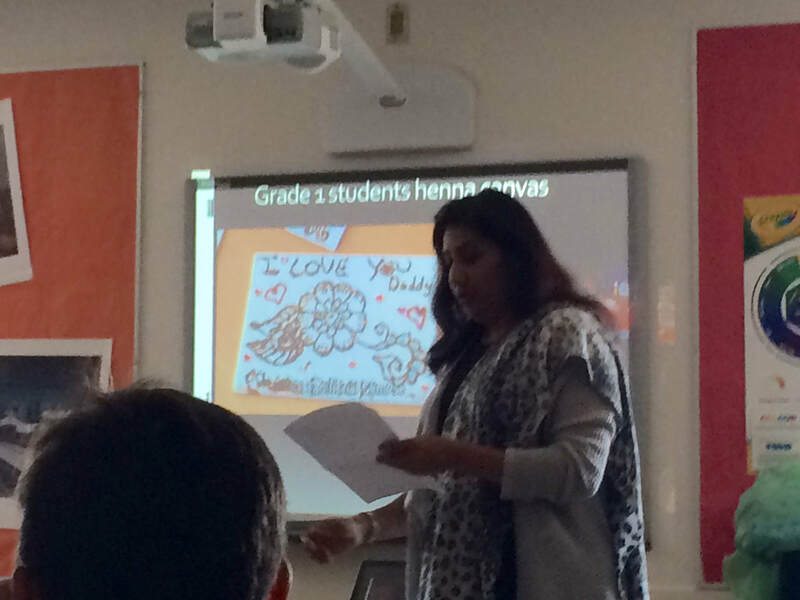 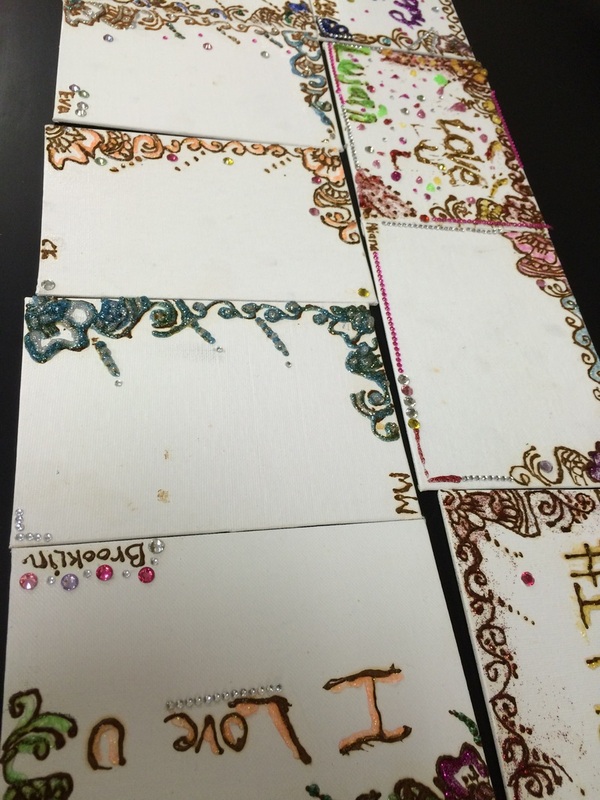 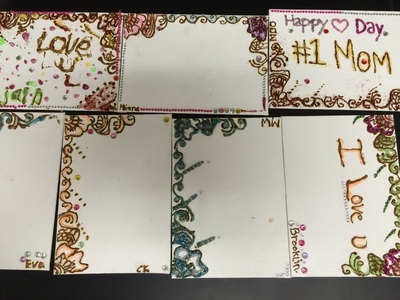 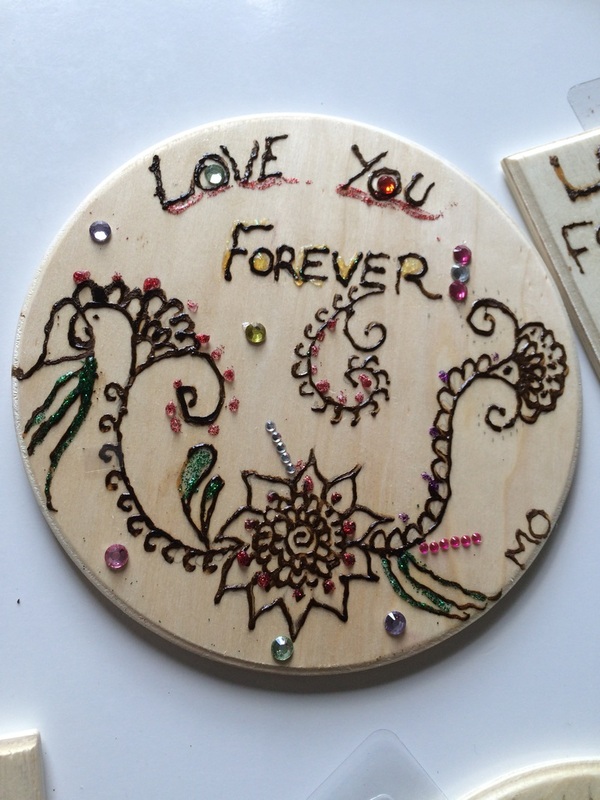 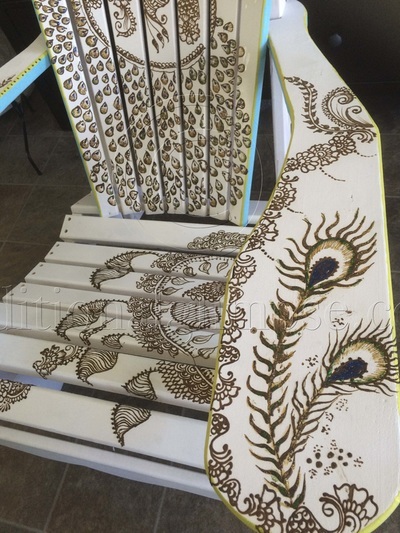 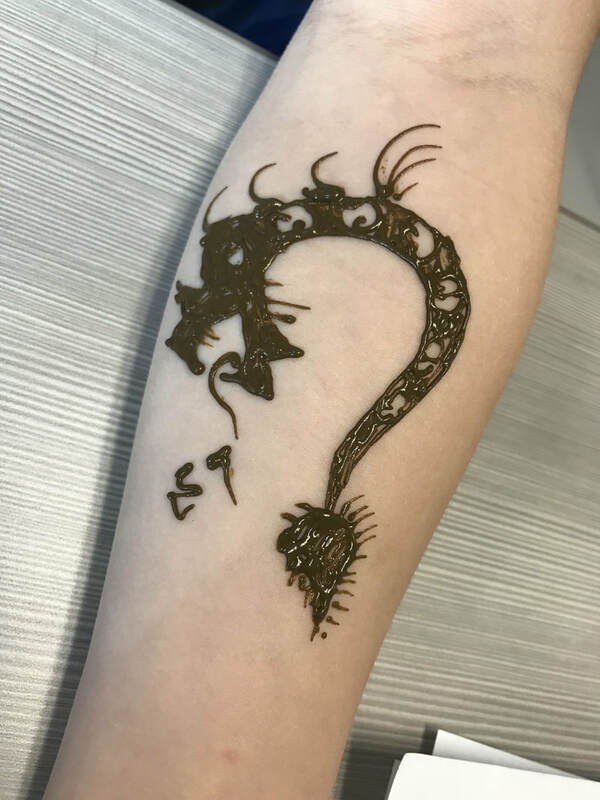 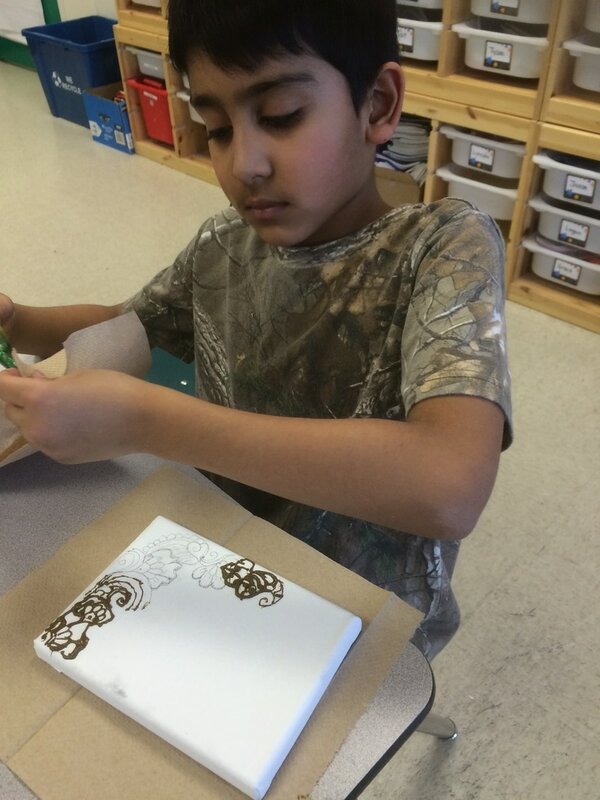 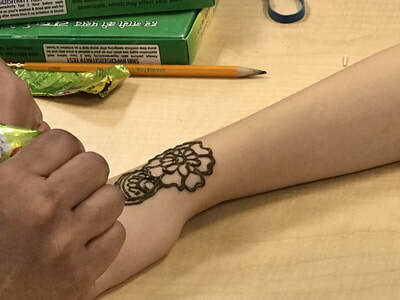 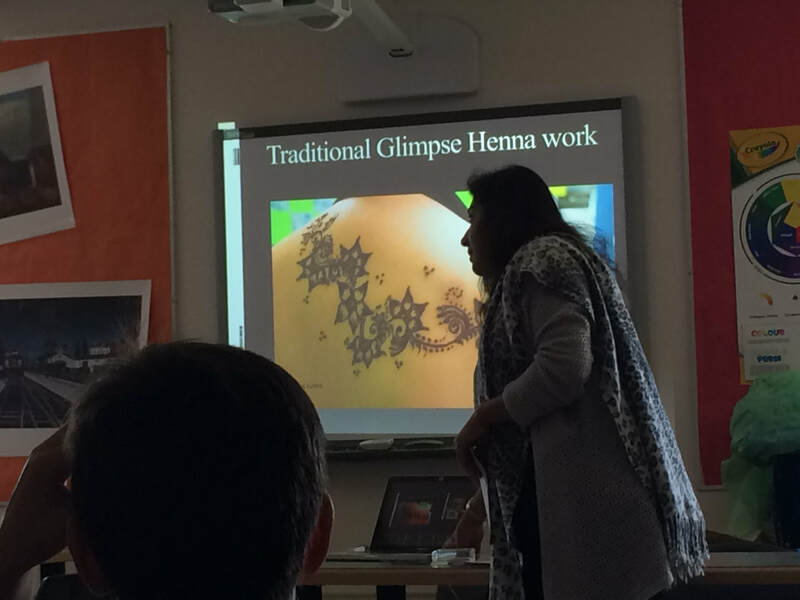 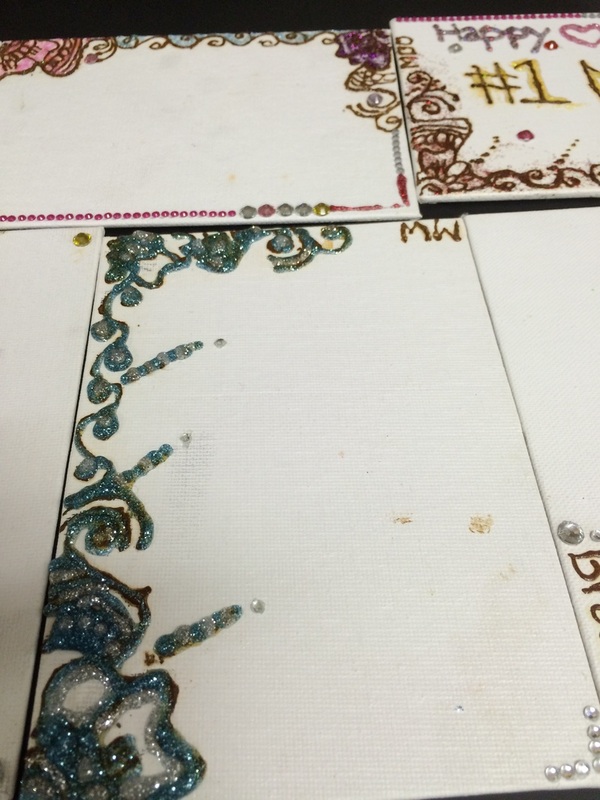 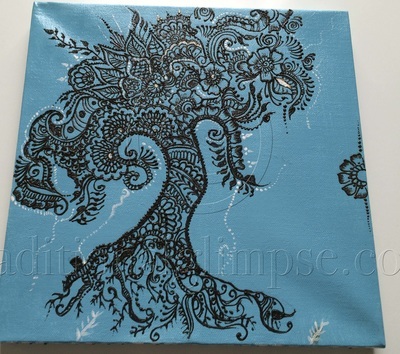 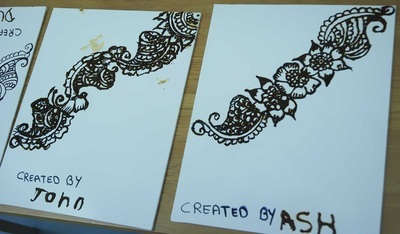 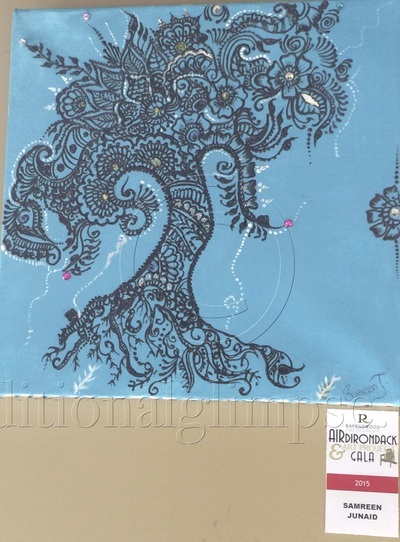 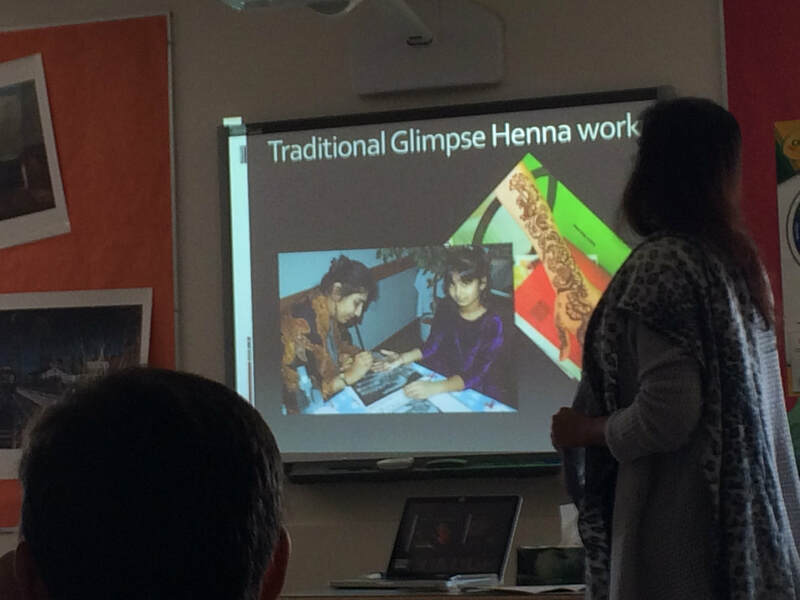 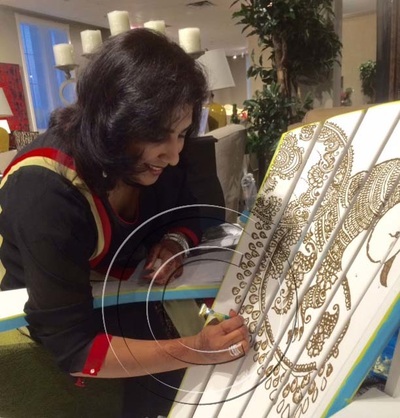 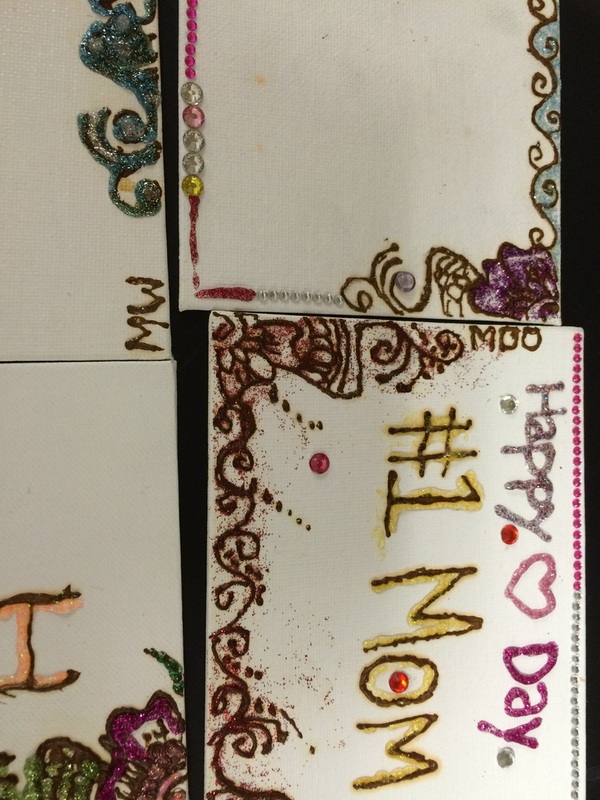 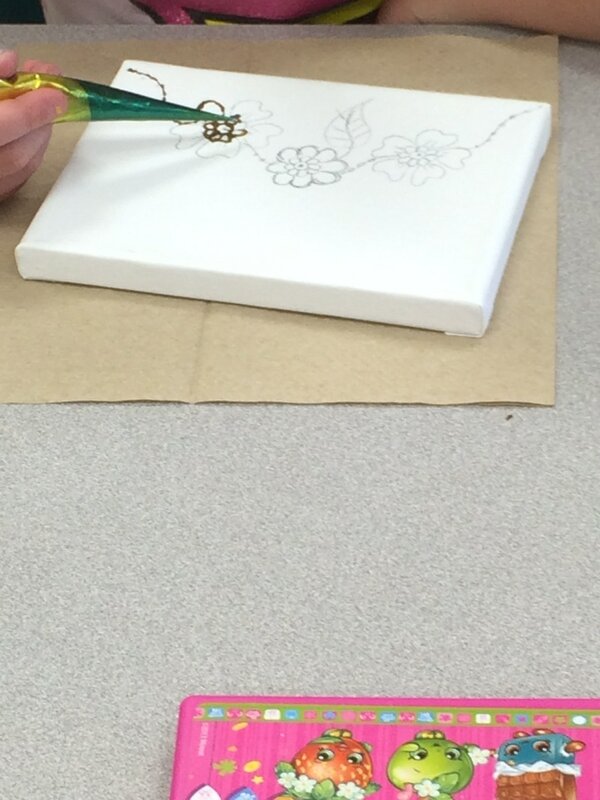 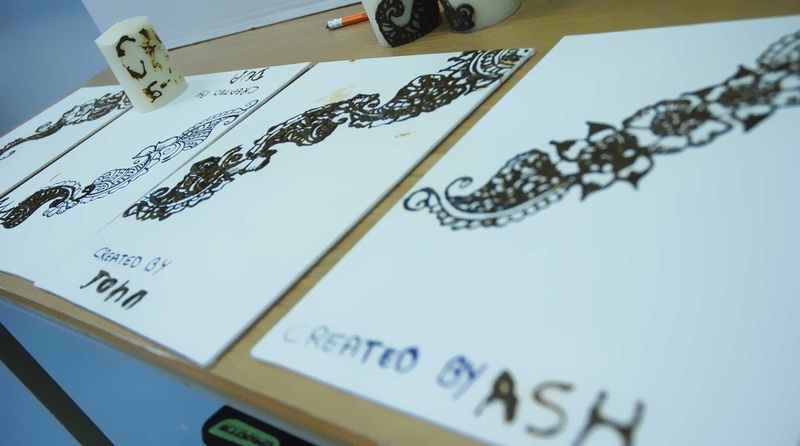 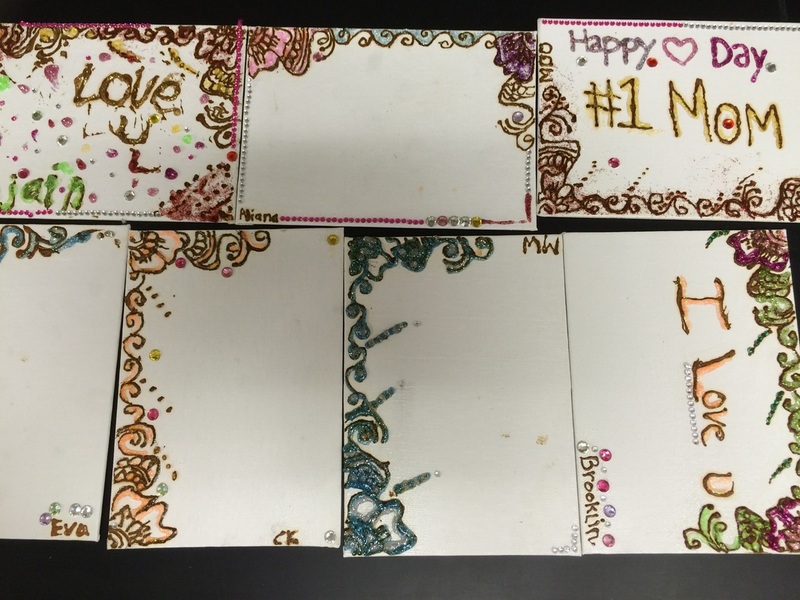 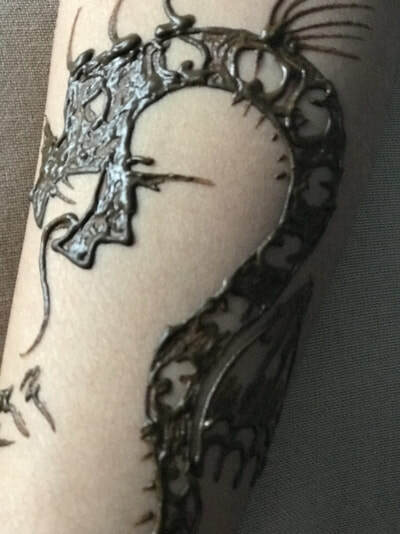 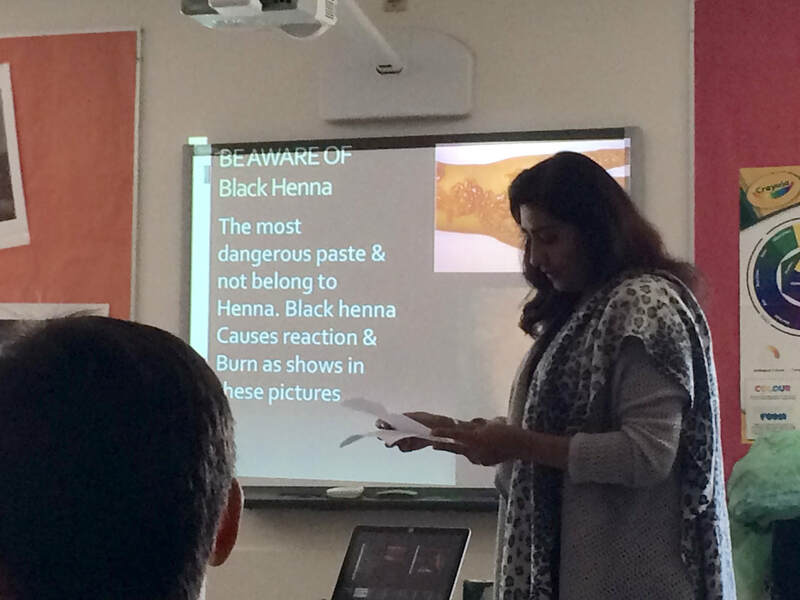 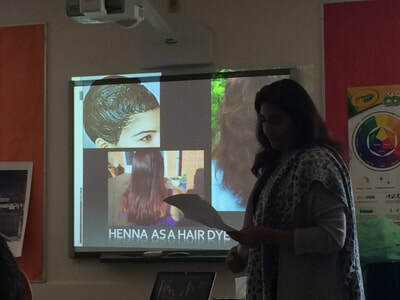 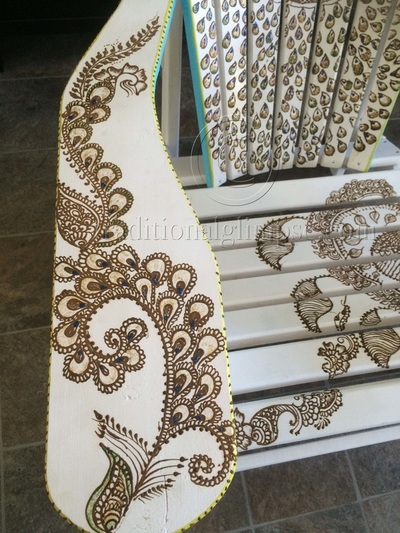 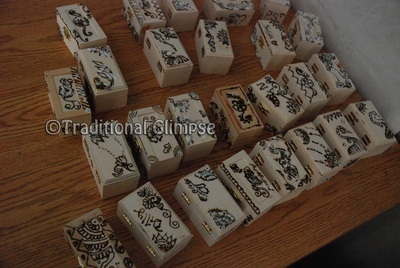 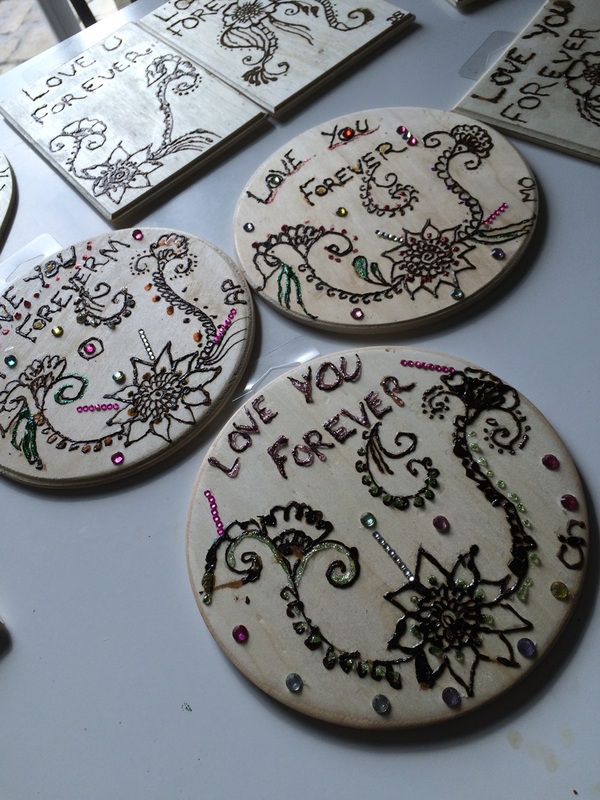 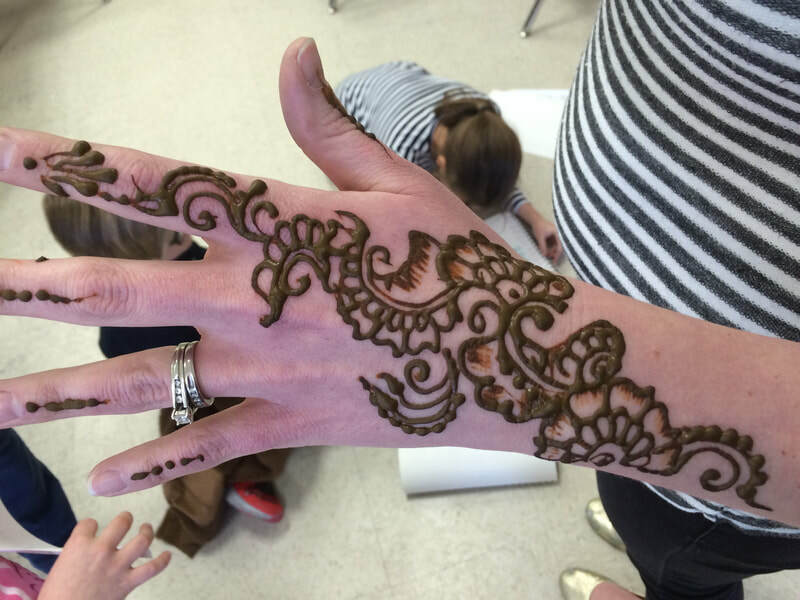 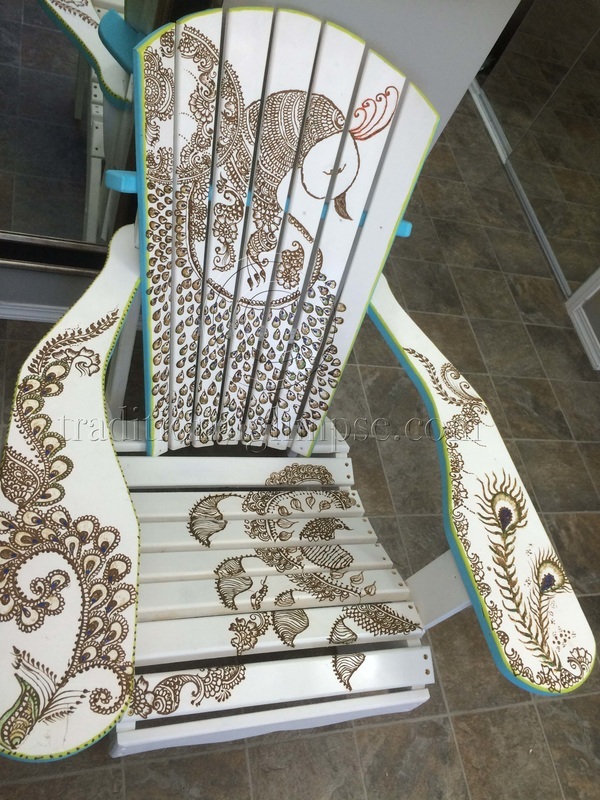 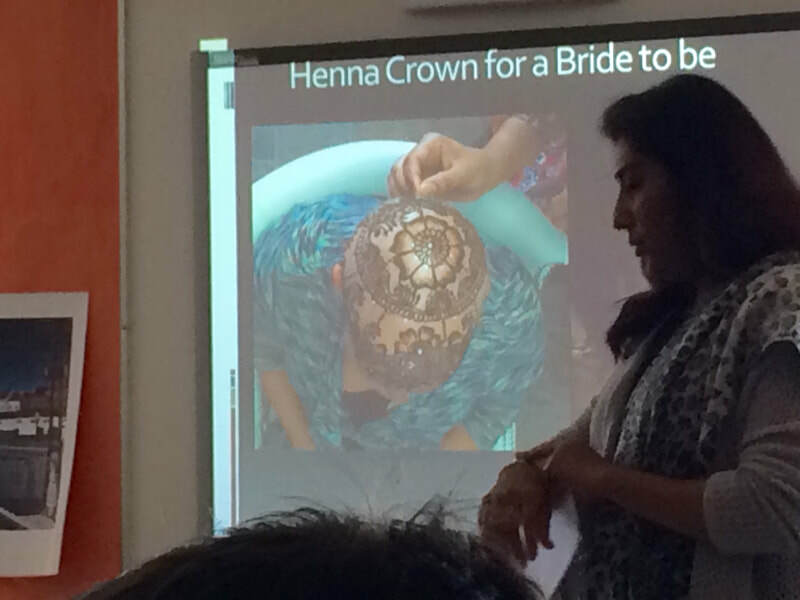 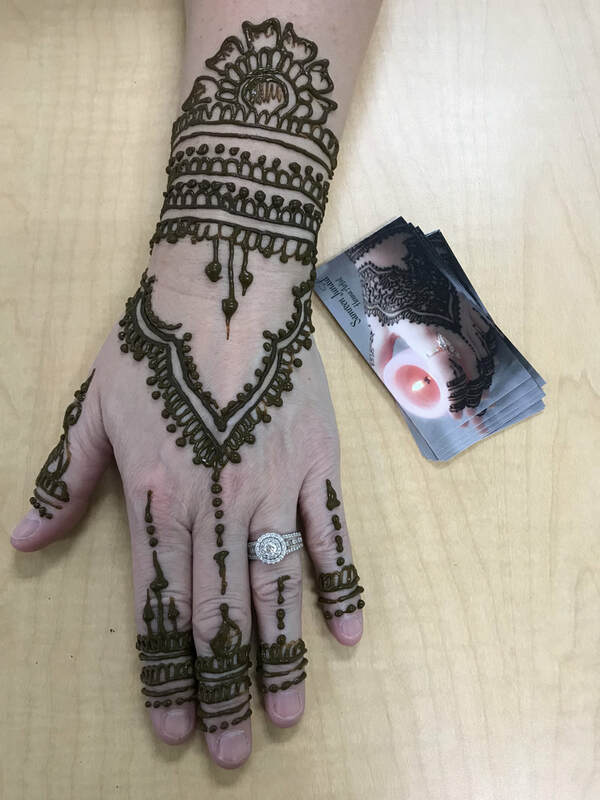 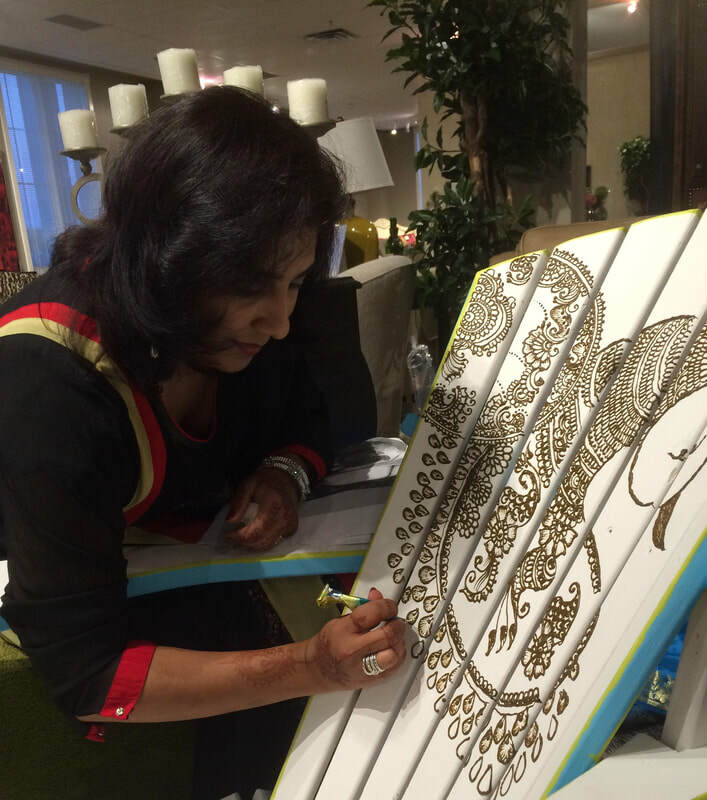 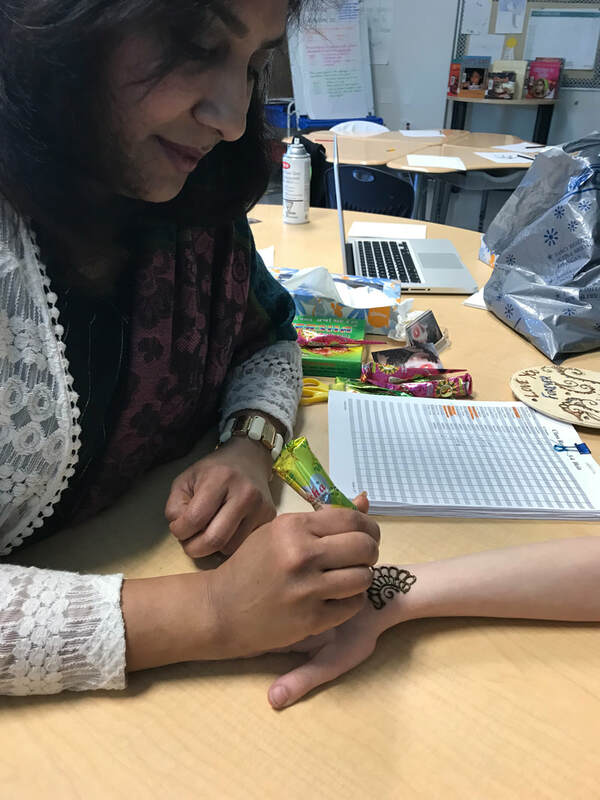 I was asked by wonderful group of teachers to talk about henna and it's benefits while creating henna designs. 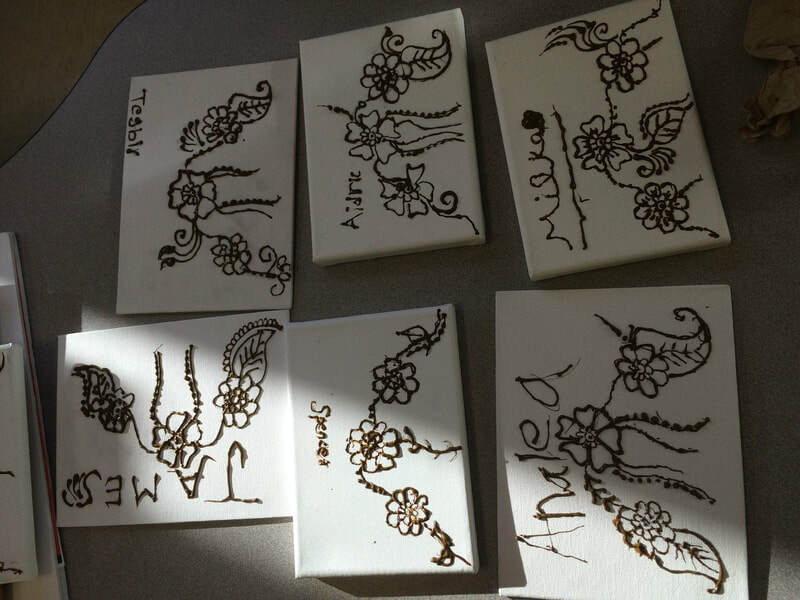 The meaning and purpose of henna plant lost today. 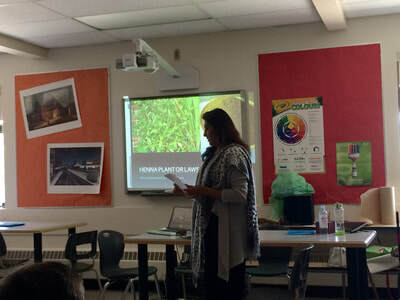 My effort is to educate people aroud me about this beautiful plant and it's benefits in day to day life. 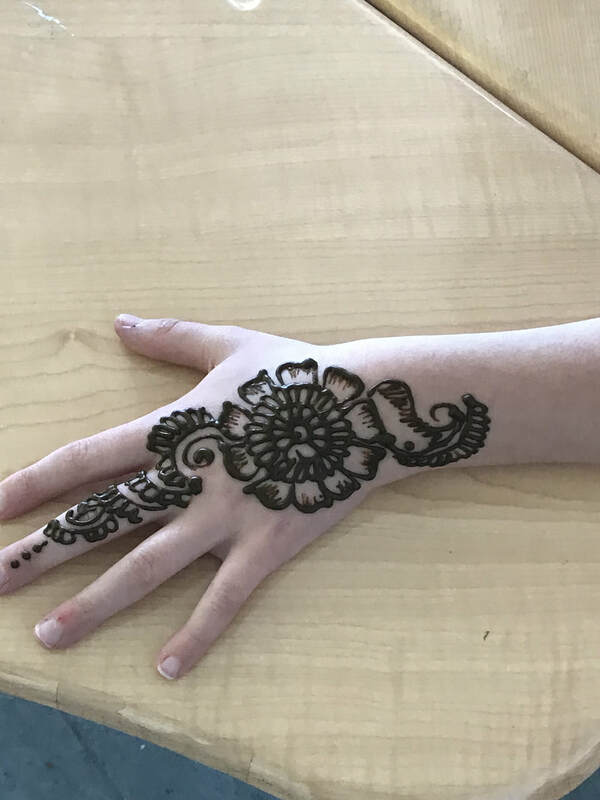 Henna plant is not for one country or culture. It contains the healing properties for every human being and I am proud to brought the beauty of this plant I born and brought with, to the door step of many. 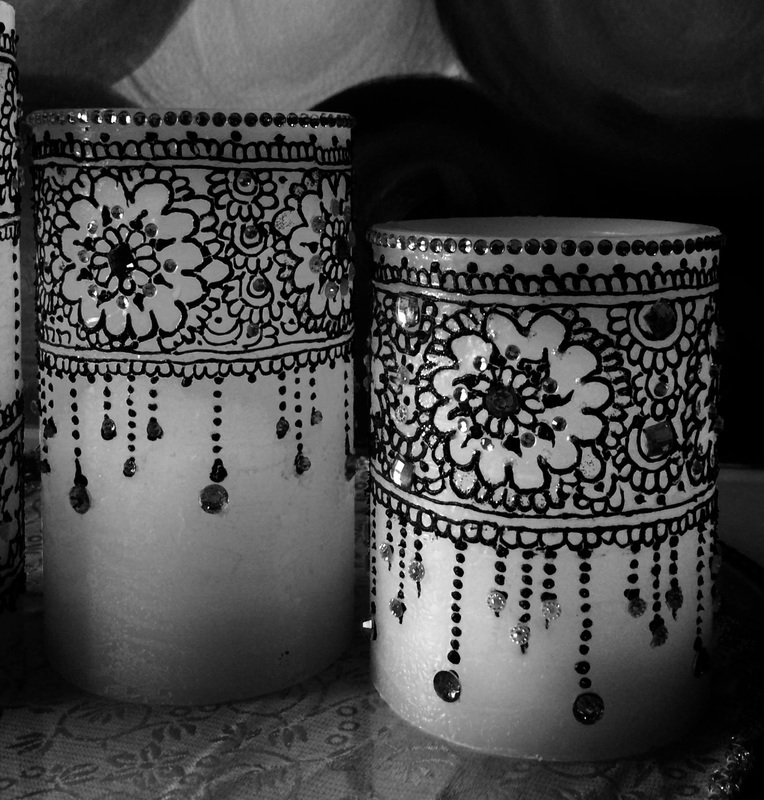 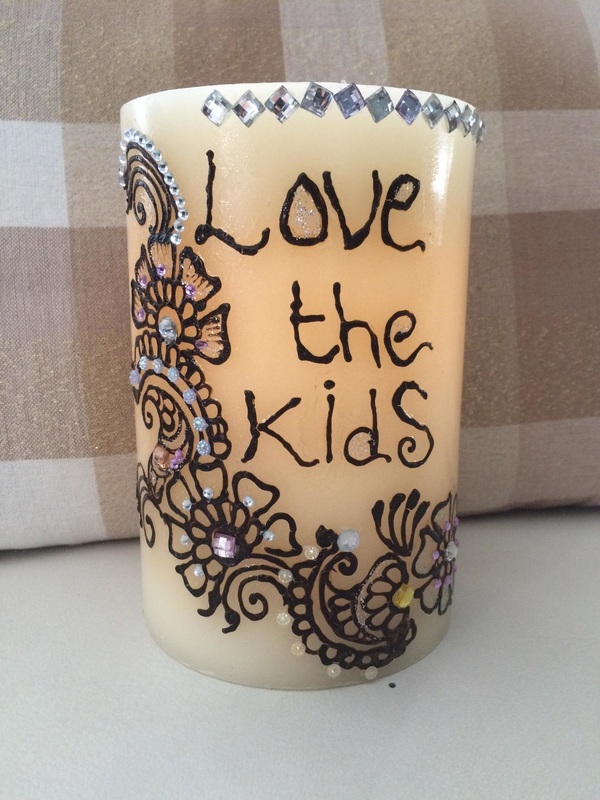 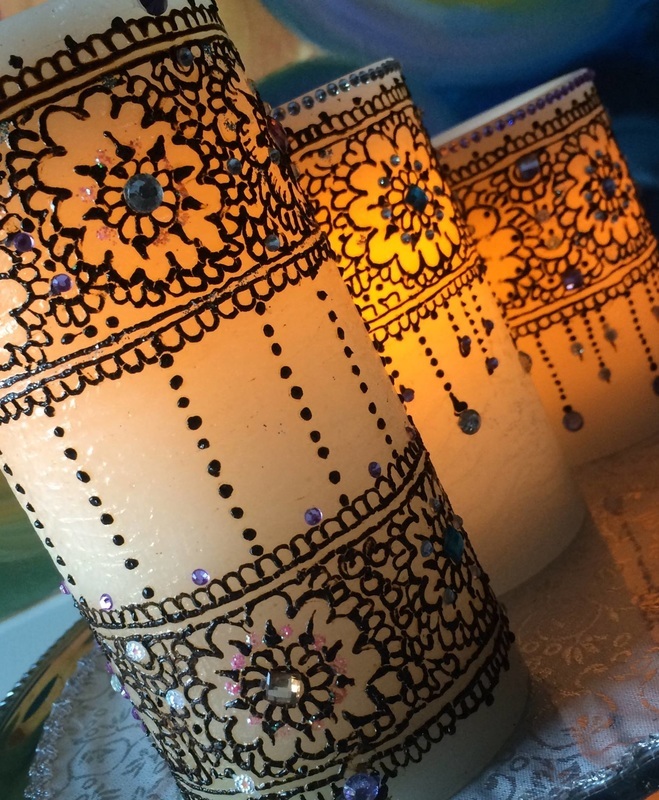 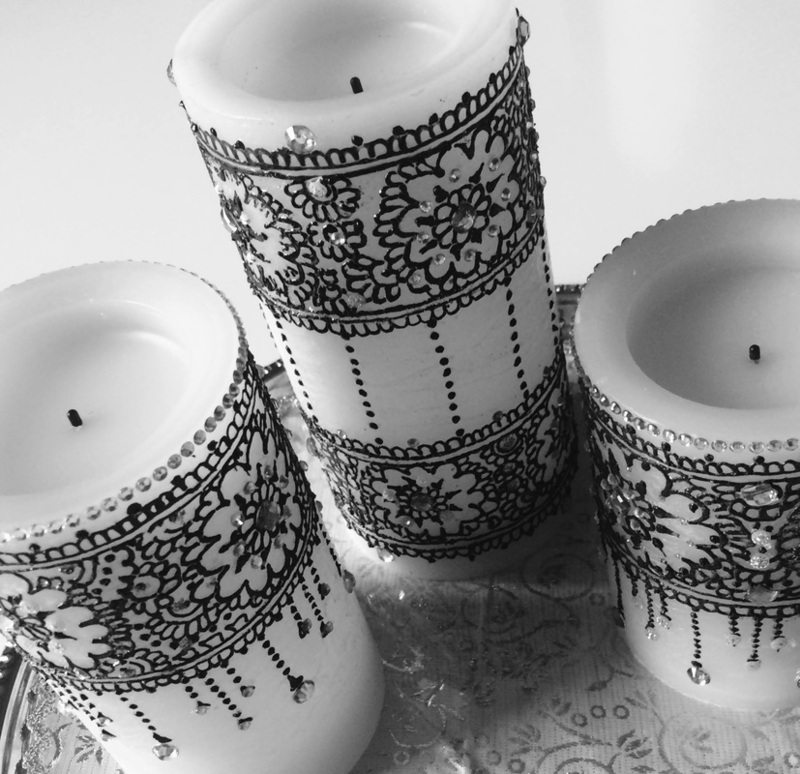 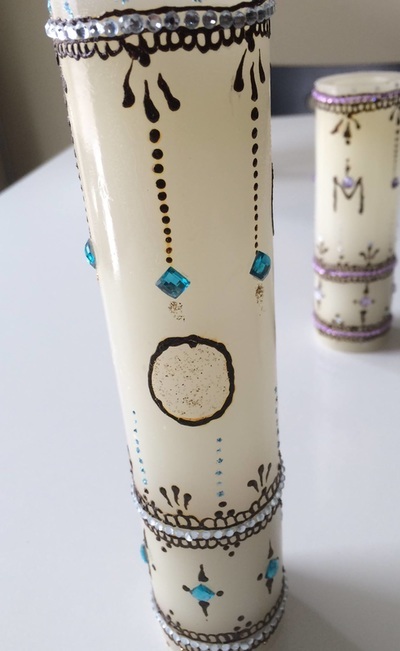 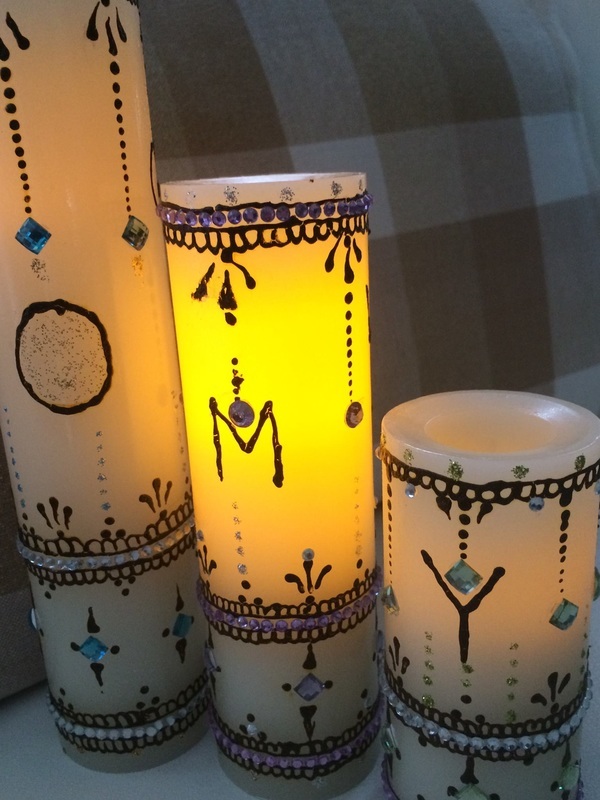 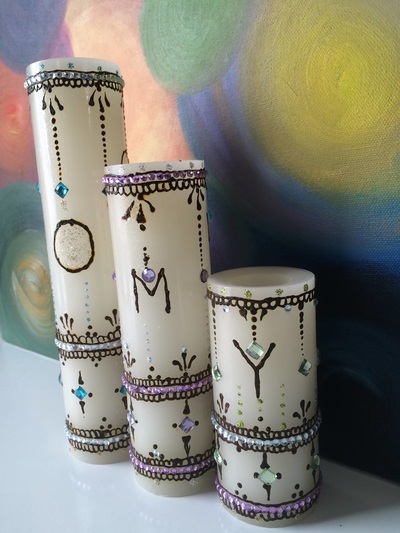 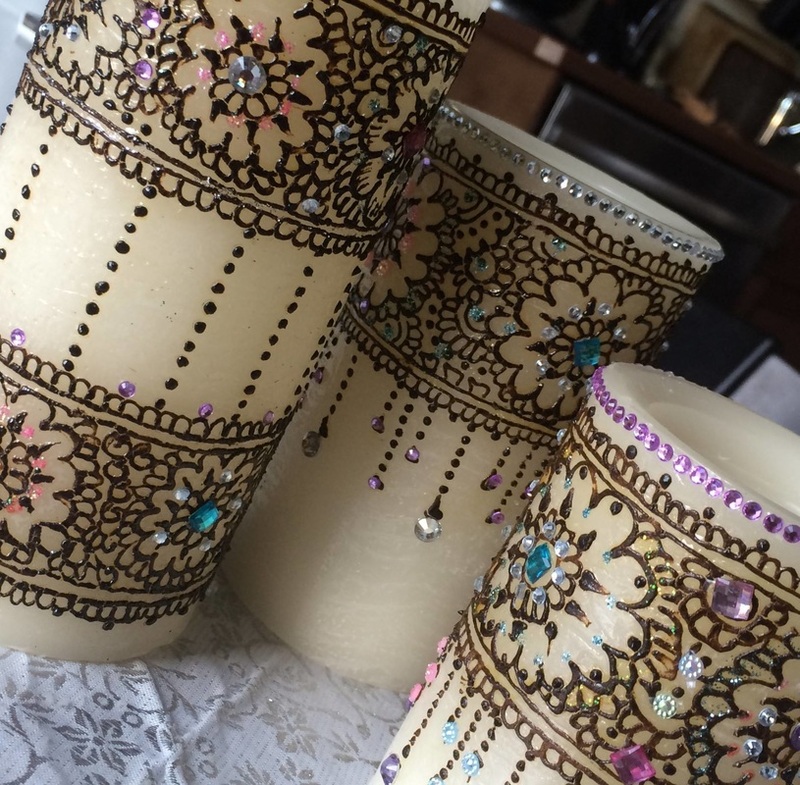 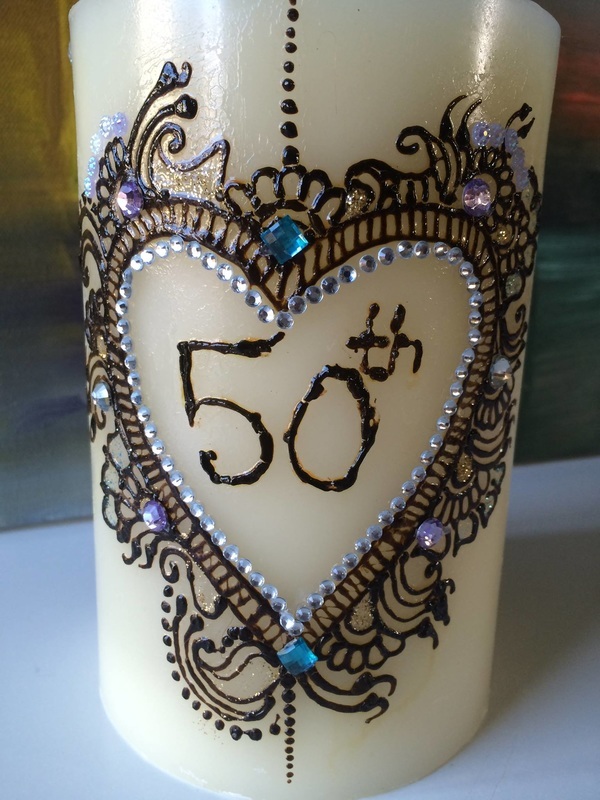 These flameless Candles created with original henna paste are custom order by client to use as a Center pieces in her Daughter's wedding. 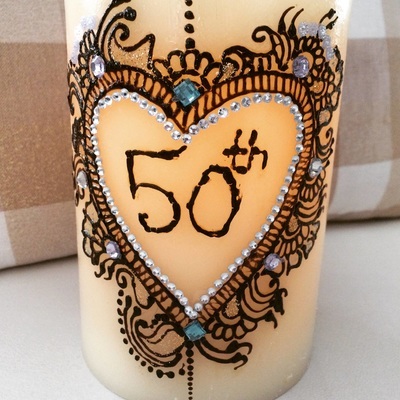 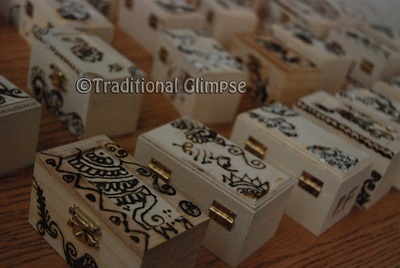 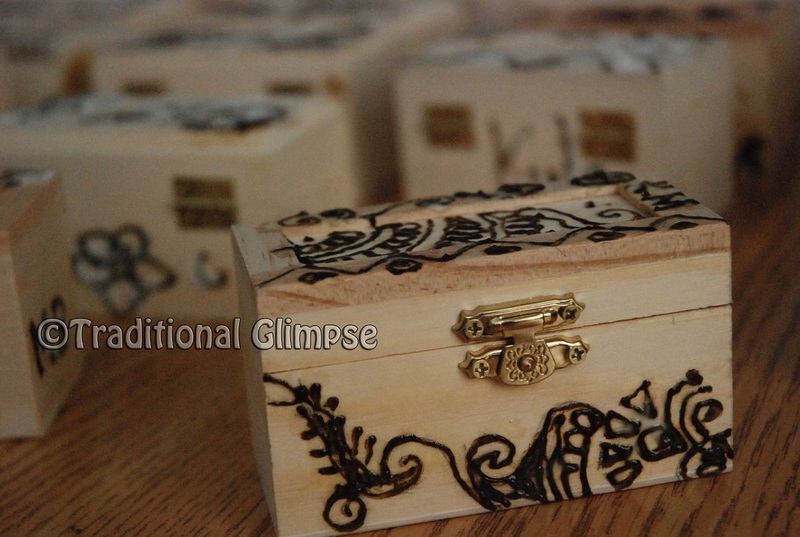 These are 3 Flameless Candles crated with Original Henna paste are custom order from my client for their Grandma's 80th Birthday as a birthday gift from 3 Grandson. 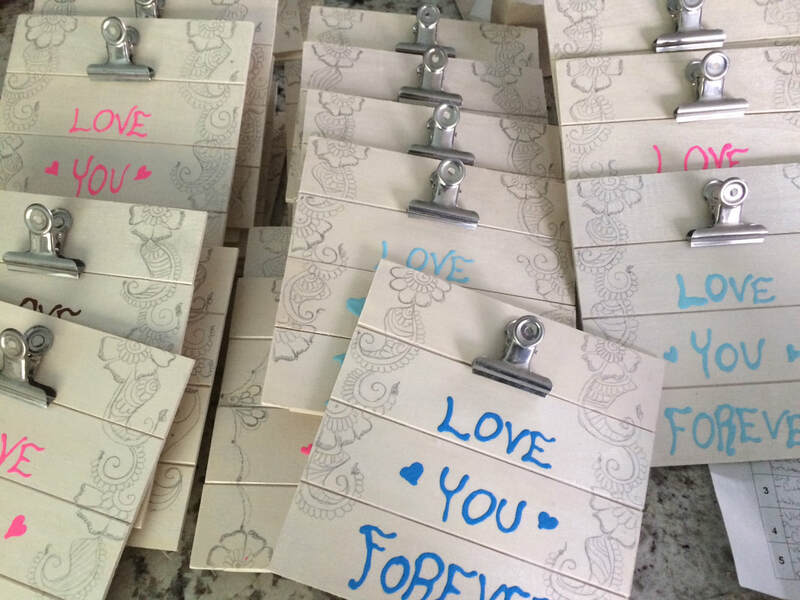 Another beautiful order by my client for his parents 50th Anniversary.